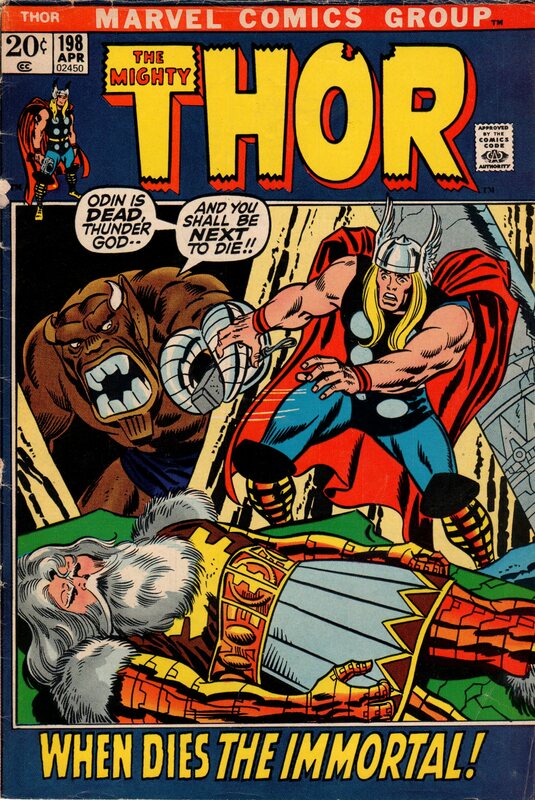 Thor | Magazines and Monsters! 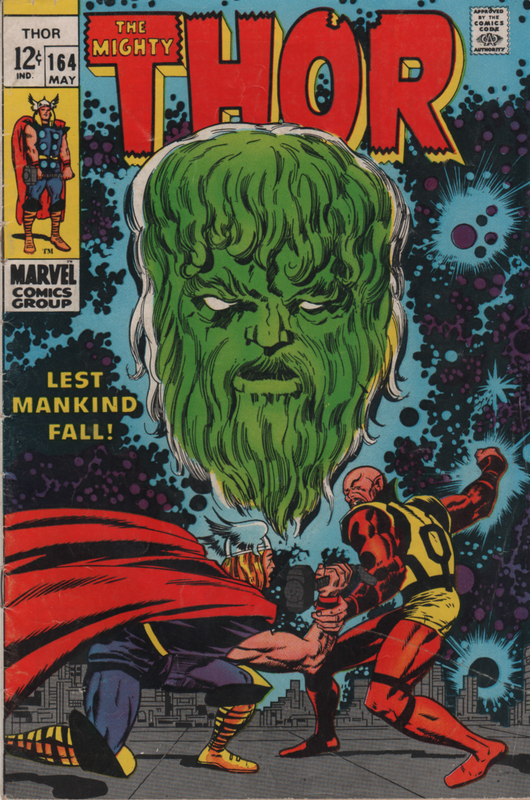 It took me quite a while to obtain this annual, and with the soaring prices of certain back issues, it was no small feat. 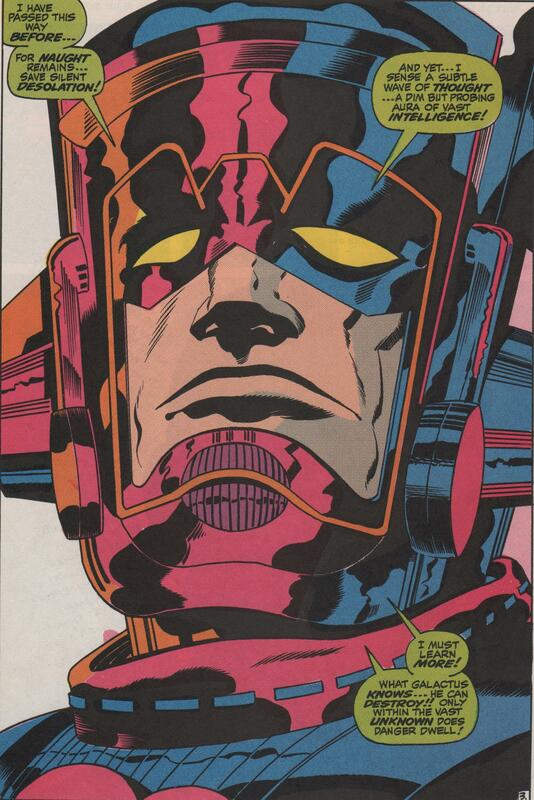 Especially with the Guardians of the Galaxy craze following the release of the films. 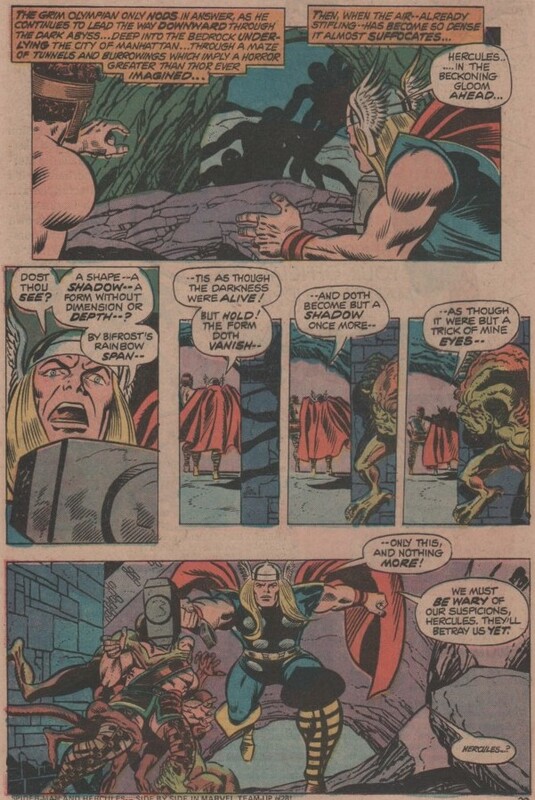 Most of this issue has nothing to do with the films of the MCU, but there is one scene that was an obvious steal from the book (I’ll include the page below). 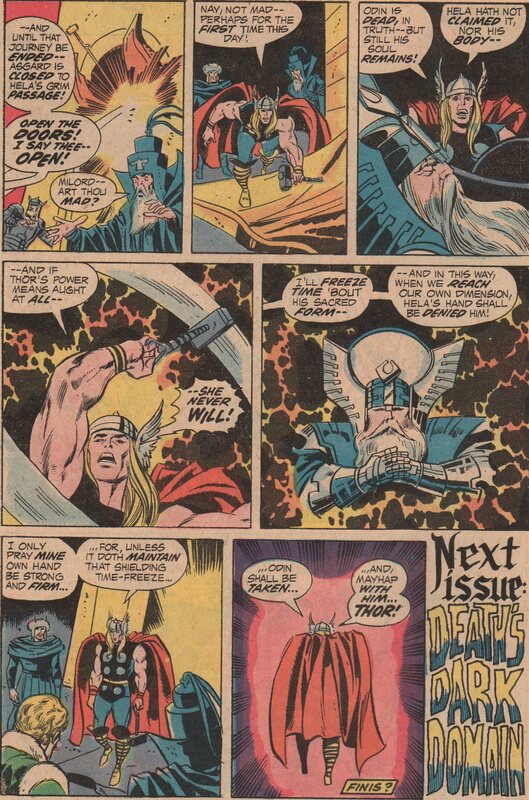 This era for Thor doesn’t get mentioned very often (especially if you exclude me) and it’s a tragedy. 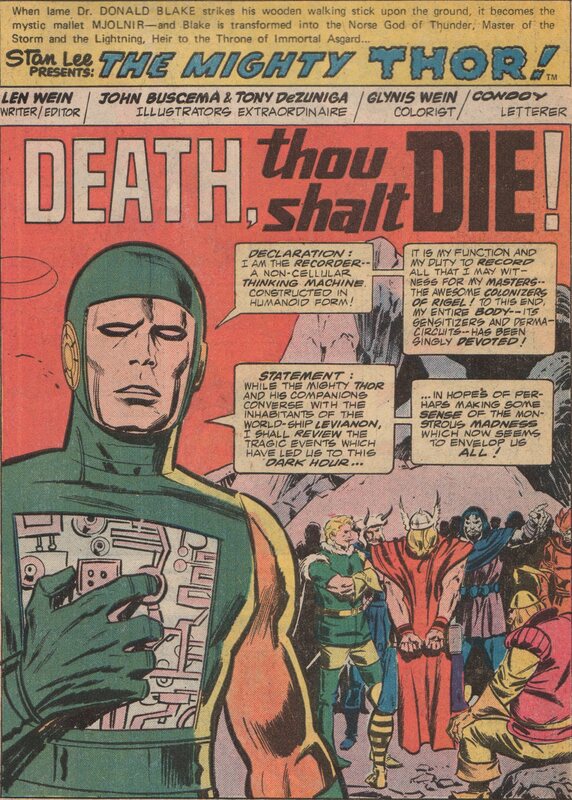 The creators that worked on this title in the Bronze Age were great. 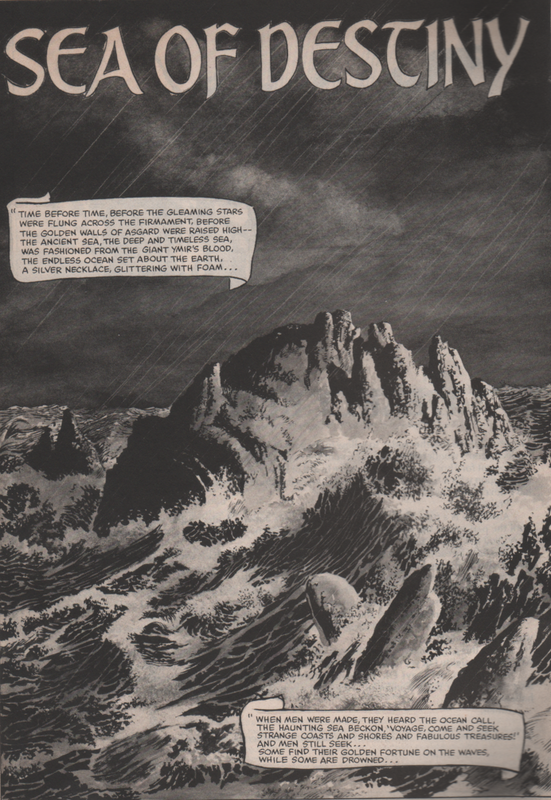 Sometimes the stories were a little one-note, but sometimes they were epic in scope and took your imagination to new places. 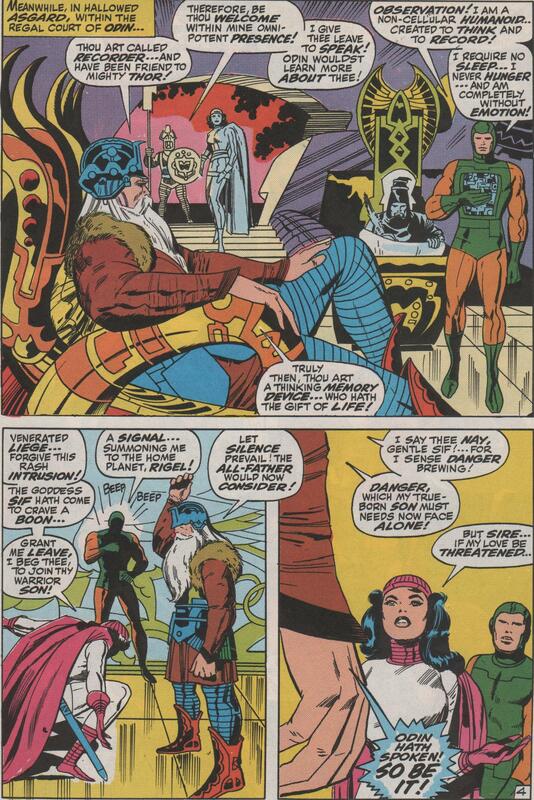 It’s widely known that the John Byrne zealots will attack if you don’t revere his FF run, but the Bronze Age is very comparable if you read it thoroughly. 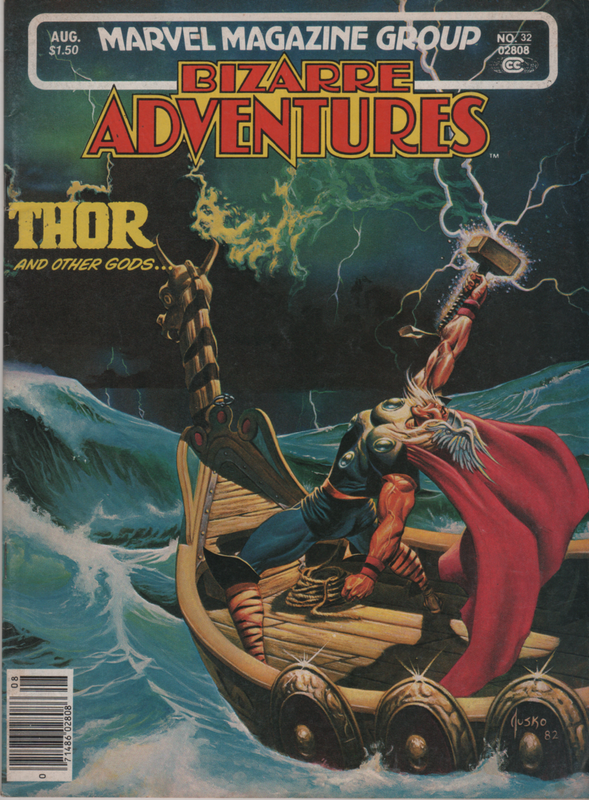 Tons of the Asgardian mythos, stand-alone stories, adventures with the Avengers, space travel, etc., you get it all. 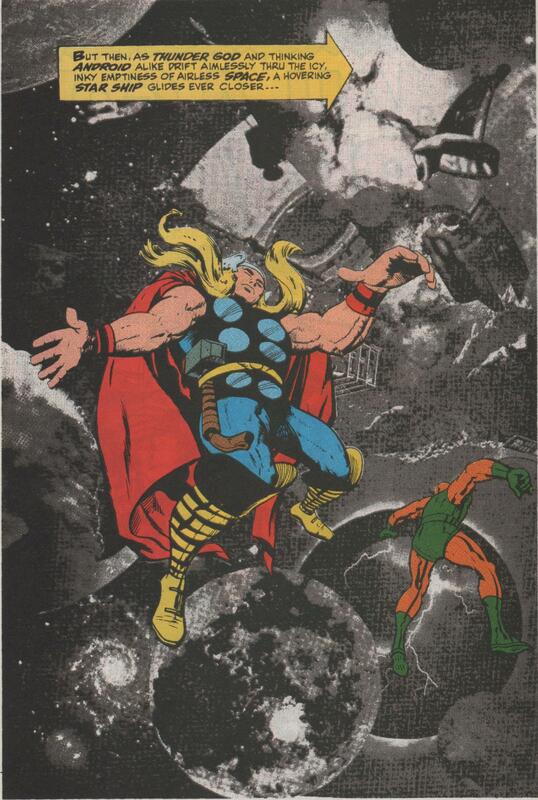 This annual is very interesting as it shows Thor getting transported to the future (via an explosion at some nuclear facility…). 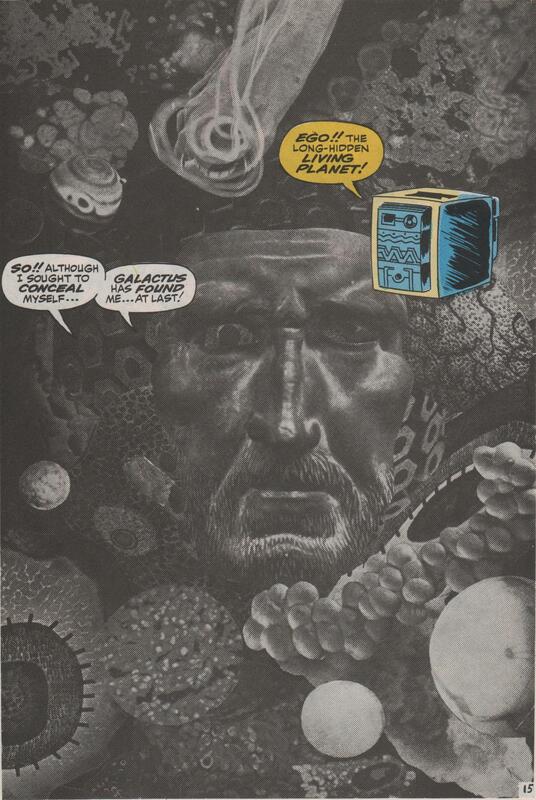 He ends up drifting through space, and becomes like a frozen rock. 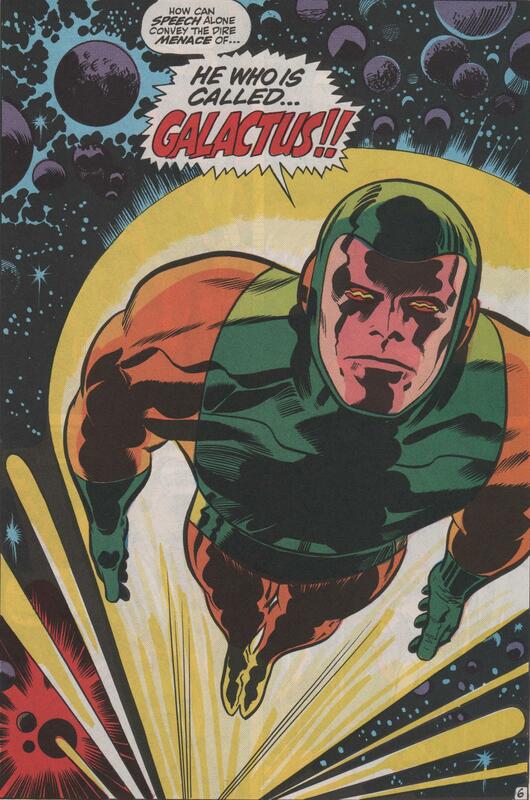 He’s then picked up by a band of misfits that call themselves the Guardians of the Galaxy! 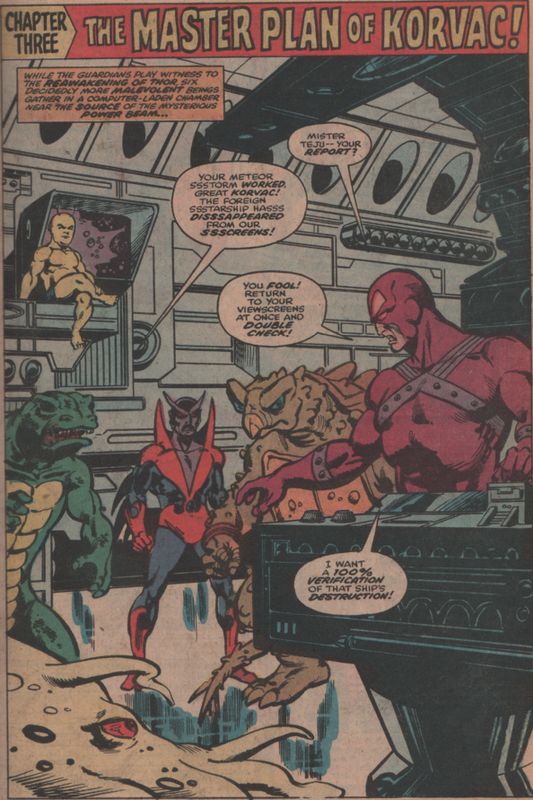 Small talk ensues, then, they must face Korvac and his Minions of Menace! 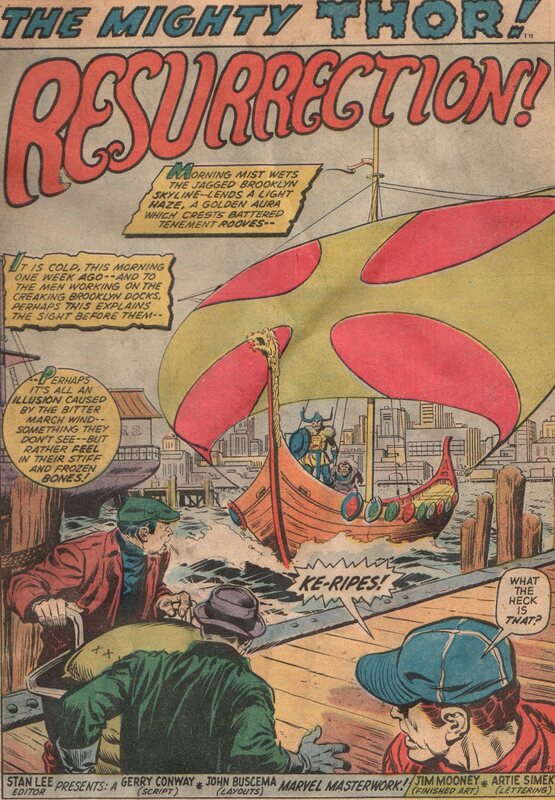 The creative team on this one reads like an all-star team from comic books! 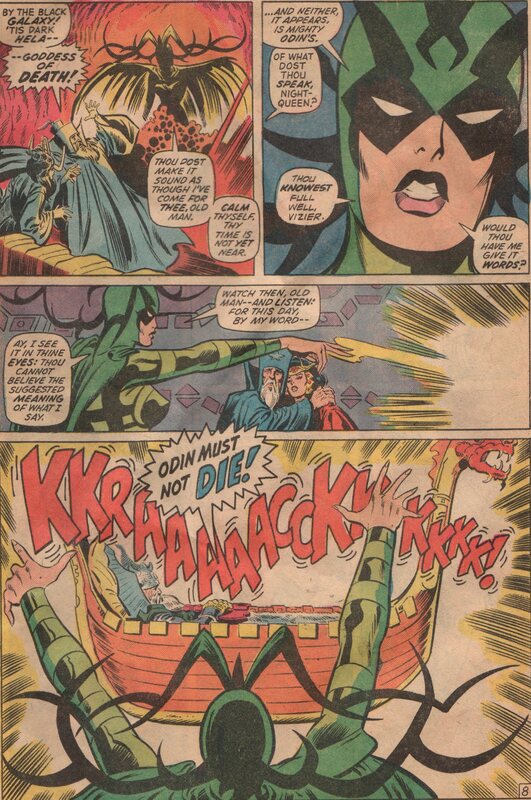 Co-plotter/Editor Len Wein, co-plotter/scripter Roger Stern, Sal Buscema and Klaus Janson art, Glynis Wein colors, and Joe Rosen letters. 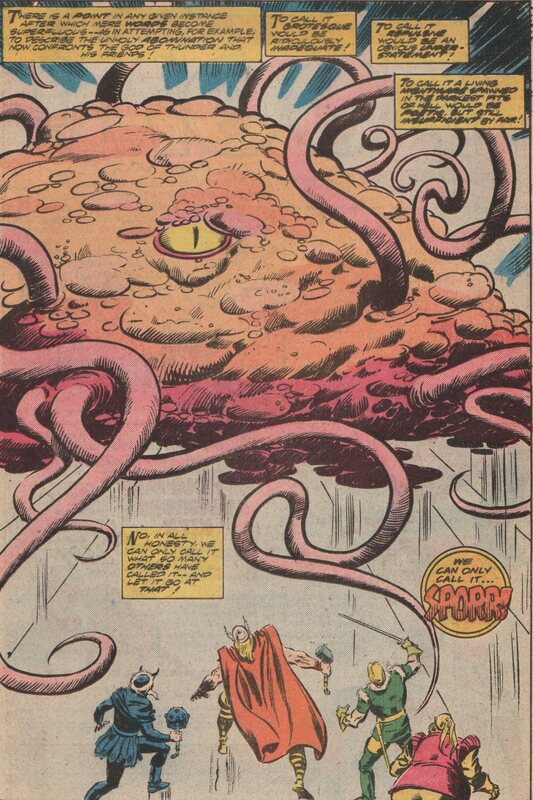 There are certain quirky characters and areas of the comic book universe that I feel I might be the only fan of, either because they’re so odd or maybe just not well-known. 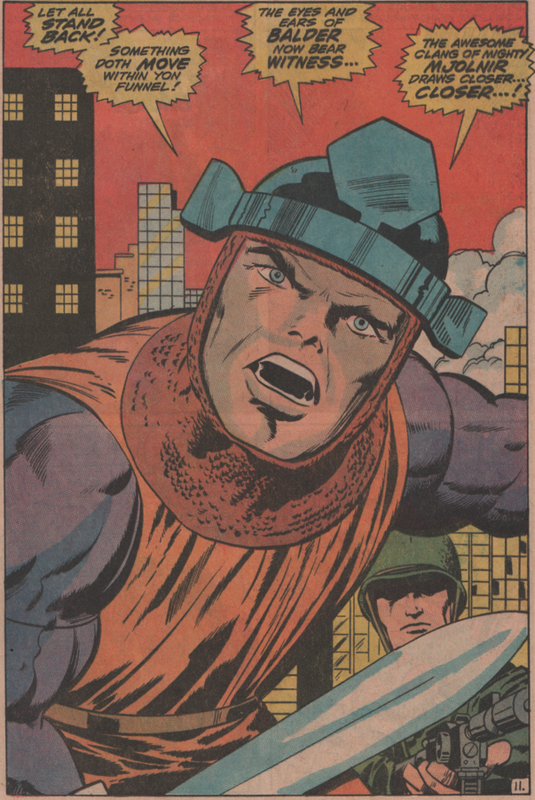 The Fear Lords are one such group! 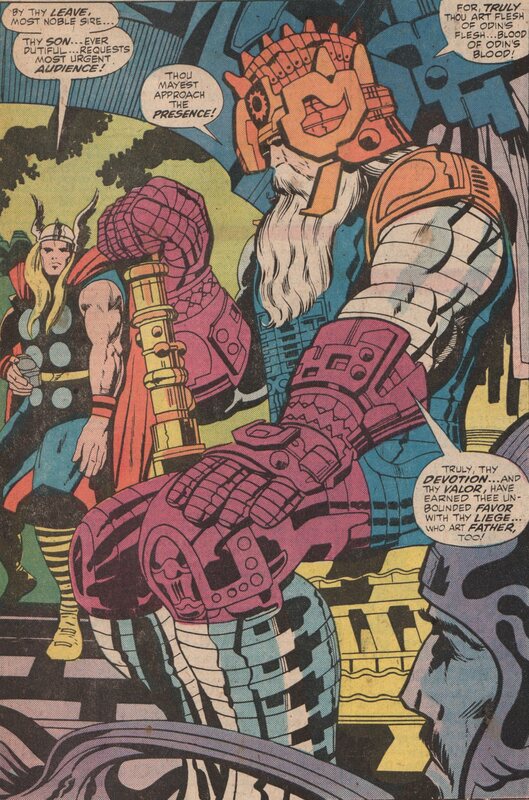 Probably the most popular member of this group is definitely the Dr. 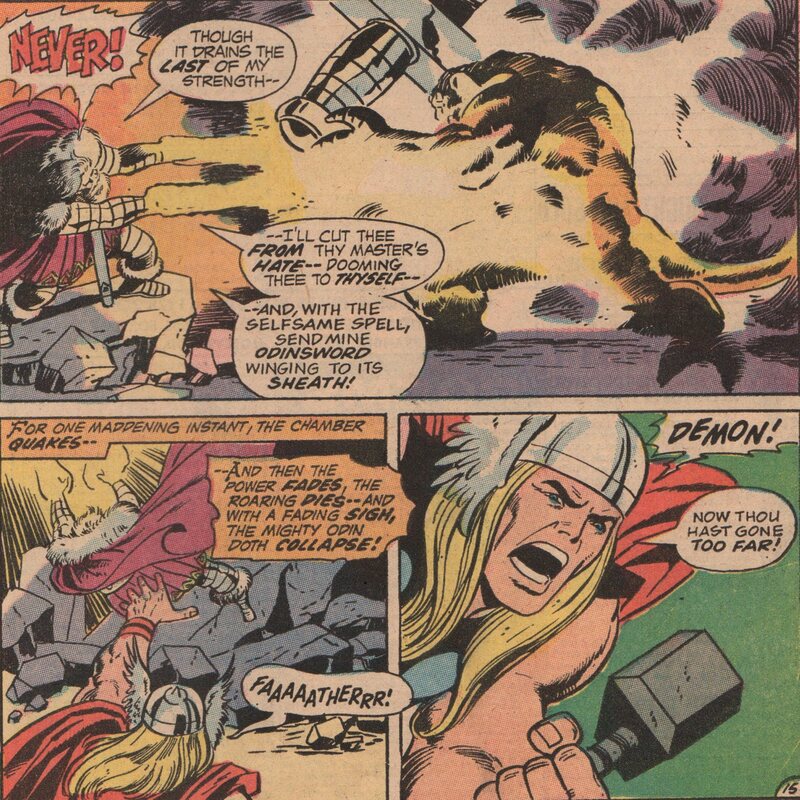 Strange nemesis, Nightmare! 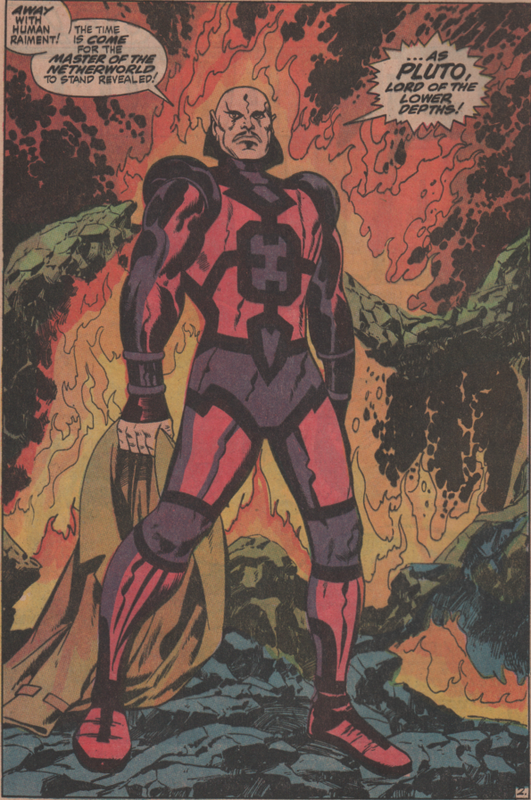 Another heavyweight that’s a member is D’Spayre (see Fear Lords), and he had a memorable appearance in Marvel Team-Up (during the heralded Claremont/Byrne run), and a few others as well. 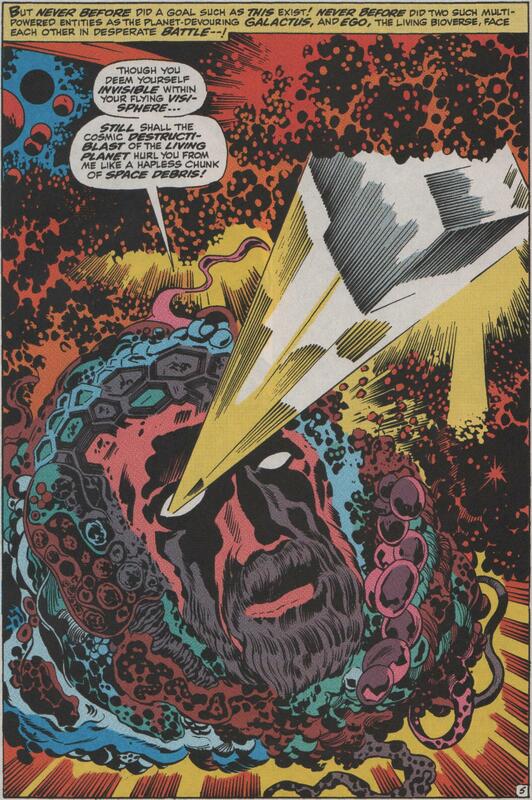 All that said, in these two issues of Thor, we get to see another member of that group, in the form of the Dweller-in-Darkness! 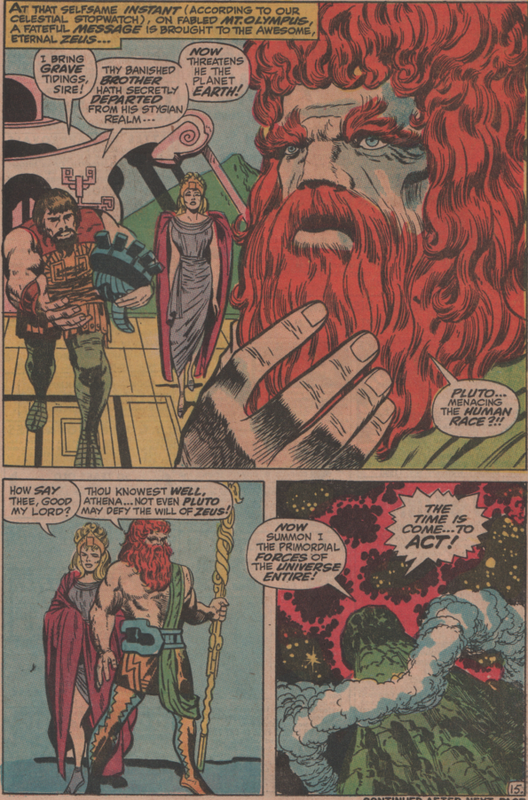 In these two issues, we see Thor, and his good buddy Hercules! 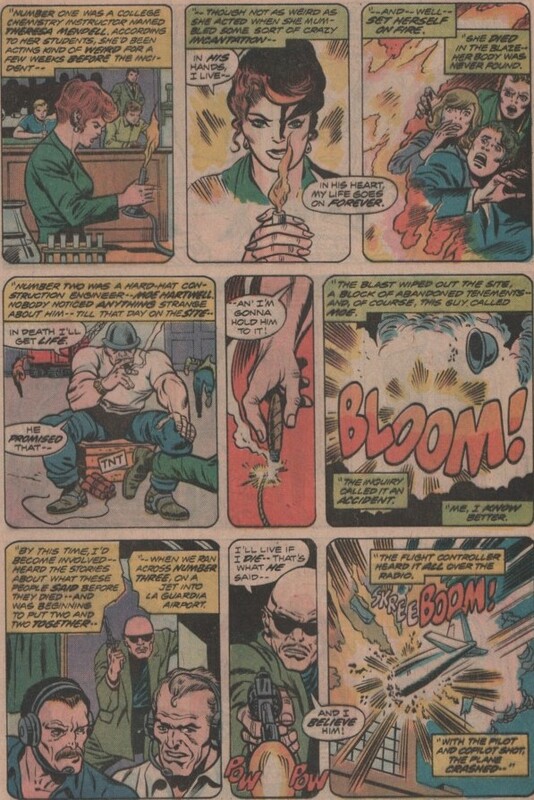 The two heroes are trying to unravel a mystery about why people in New York are going absolutely crazy, with seemingly no explanation. 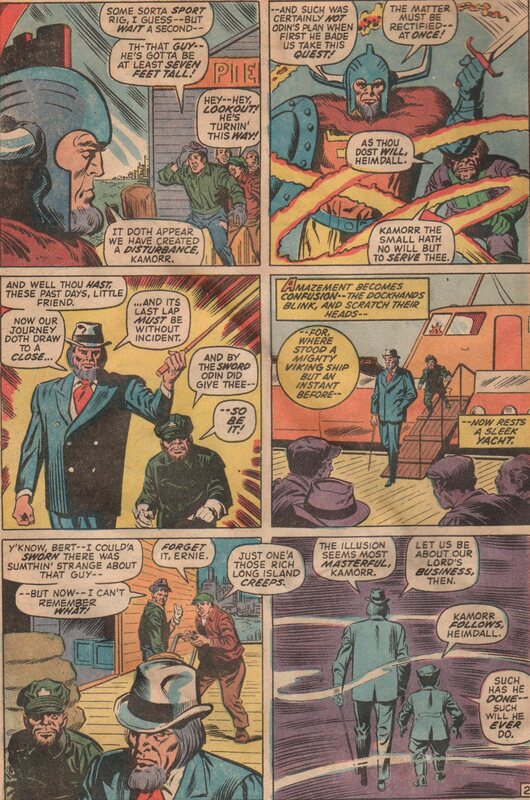 There is murder, robberies, suicide, muggings, etc., the city is in mass hysteria. 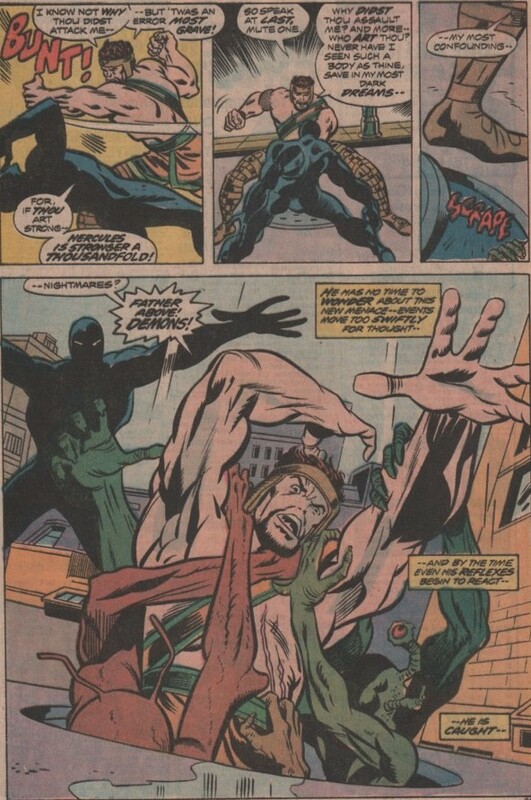 Hercules tries to help, but is assaulted by a dark, mysterious figure wearing a trench coat. 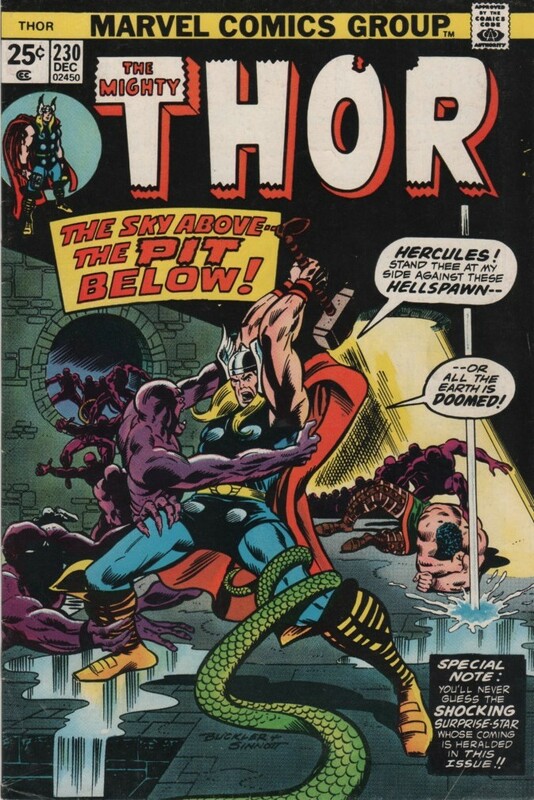 Before he knows what’s going on, he’s dragged into the sewers by a horde of demons! 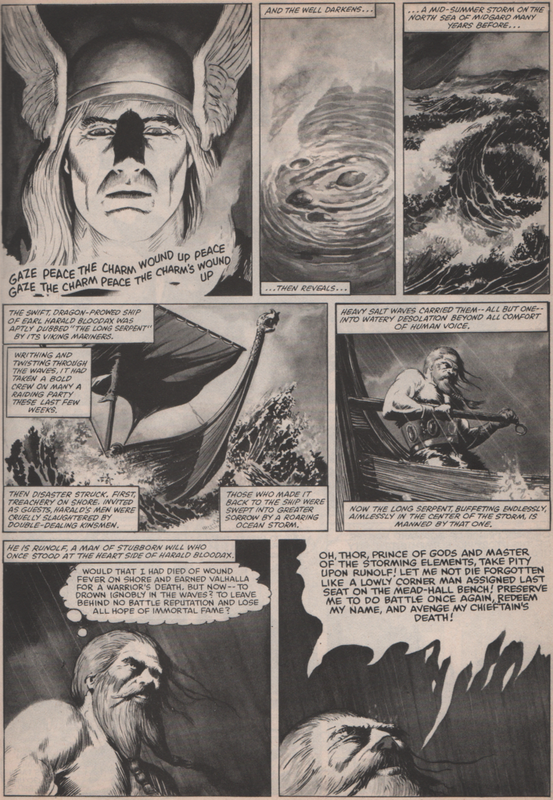 He returns to the surface later, but the son of Zeus is visibly shaken, and in fear for his life! 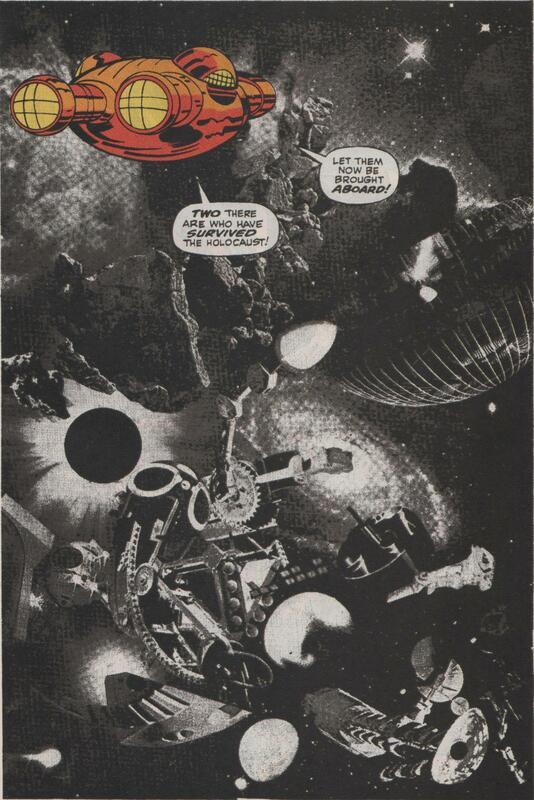 The creative forces behind these two issues are incredible but in two ways. 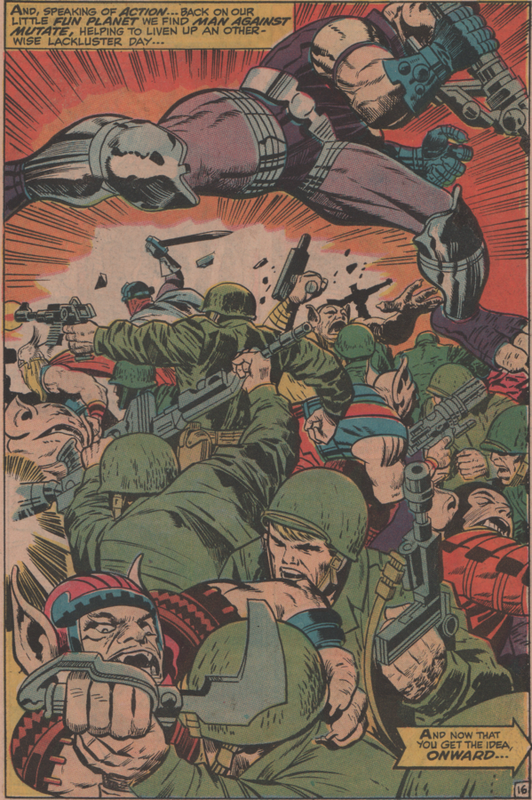 The cover of the first issue is by Ron Wilson and Mike Esposito. 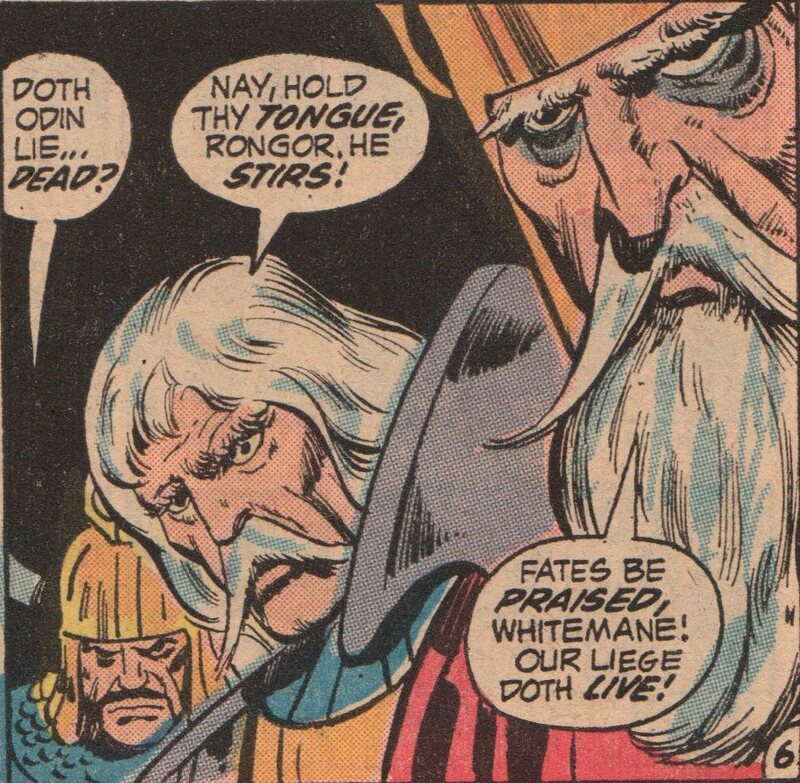 Both men were awesome but vastly underappreciated. 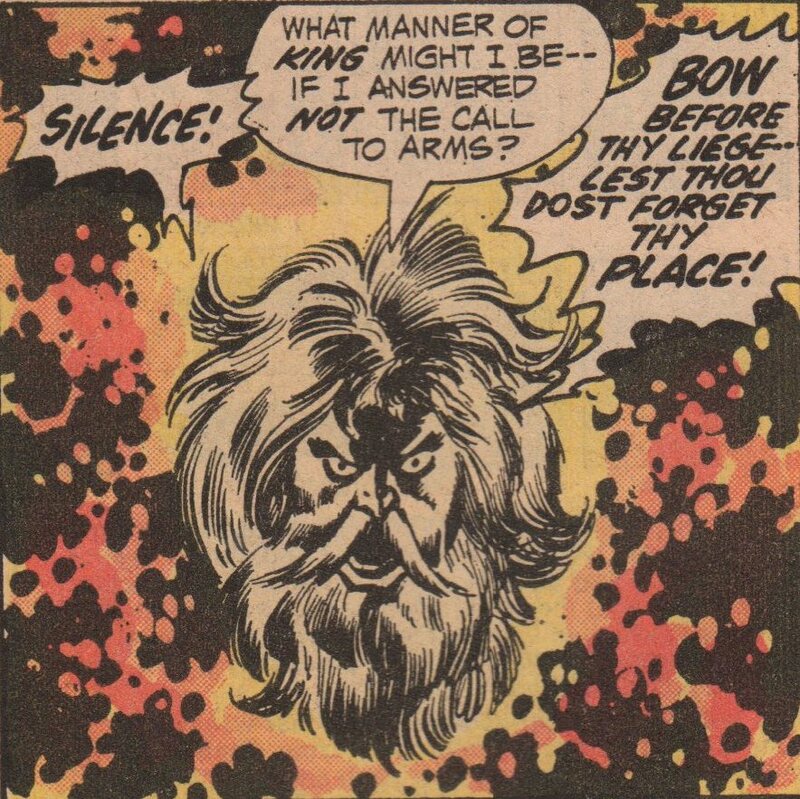 Do yourself a favor, and go to one of the many database websites and check out these two creators. 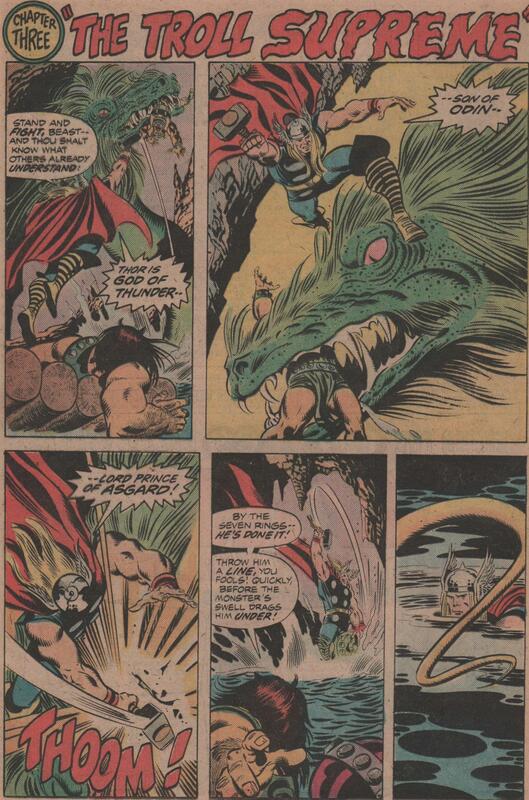 Again with the same theme of being underappreciated, we have Rich Buckler (interior pencils on both issues, and cover pencils on #230). After his recent passing (May 2017), I really felt terrible because I’d only met him one time, and was sorry I didn’t talk to him more often, as he seemed like a great guy. 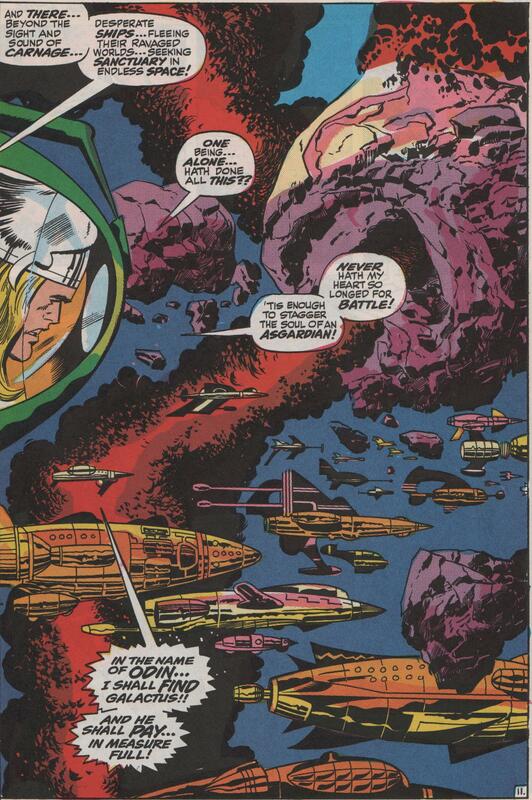 The interior inkers are an interesting contrast. 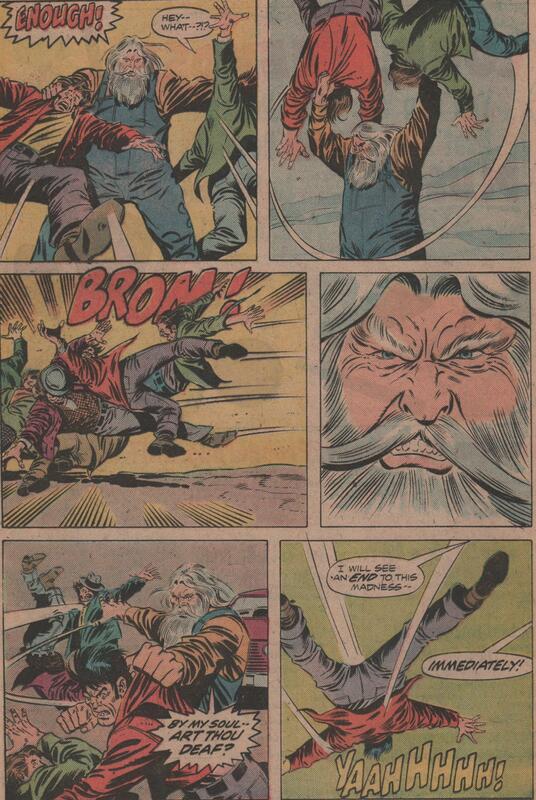 In #229, we have Chic Stone, whose style is a bit cartoony over Buckler’s pencils (see the splash/first page). Not bad, but definitely not the best either. 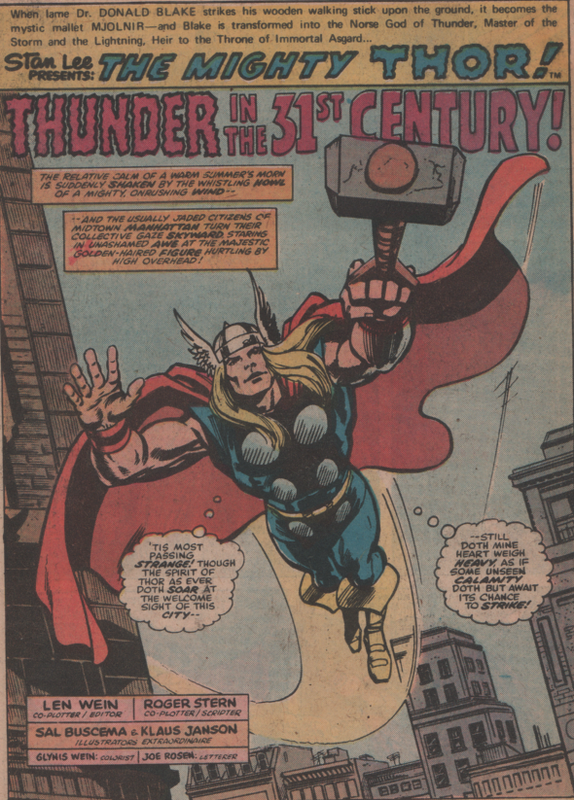 The next issue sees Joe Sinnott inking (cover and interiors), and you can clearly see the detail and high level this man brought to the industry. 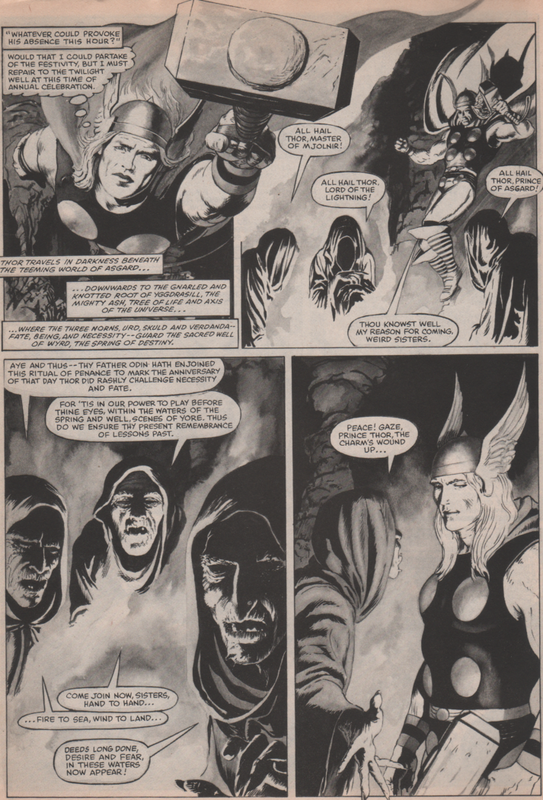 The Bronze Age stalwart, Gerry Conway, is the writer for both issues. 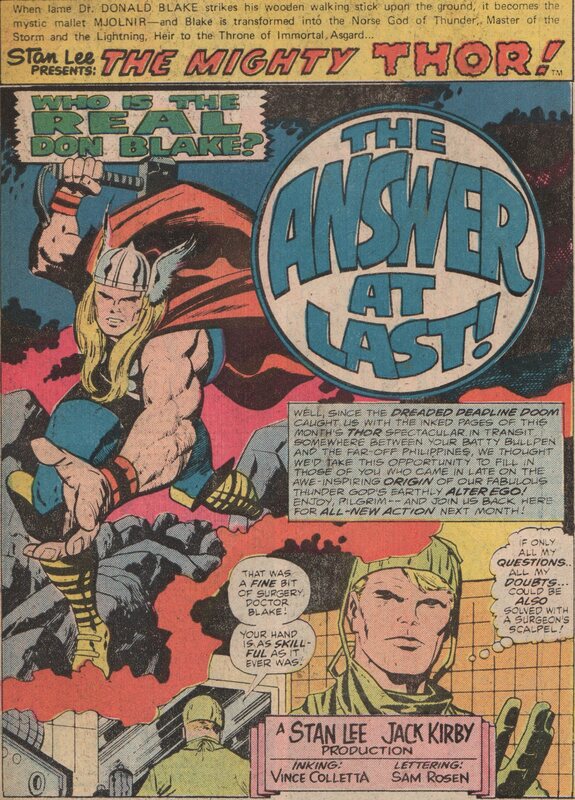 He had a pretty long run on the title (#193-238), following Stan Lee. 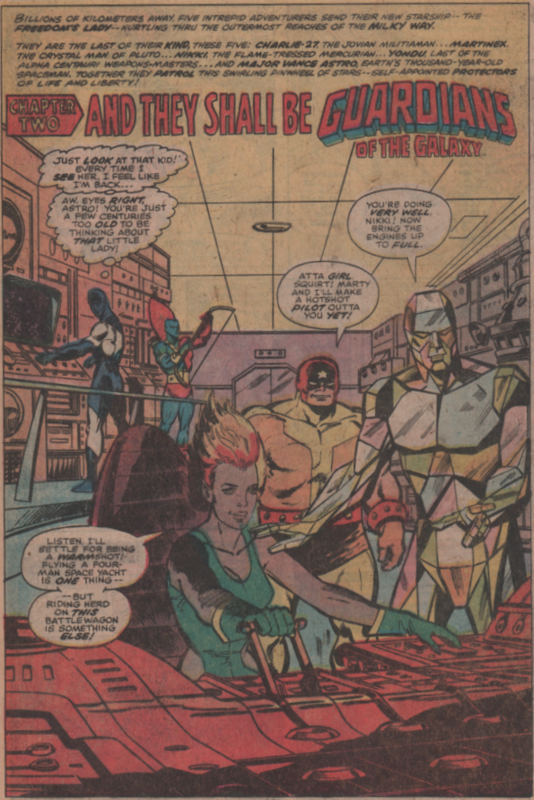 Linda Lessmann, Stan Goldberg, and John Costanza round out the creative team. 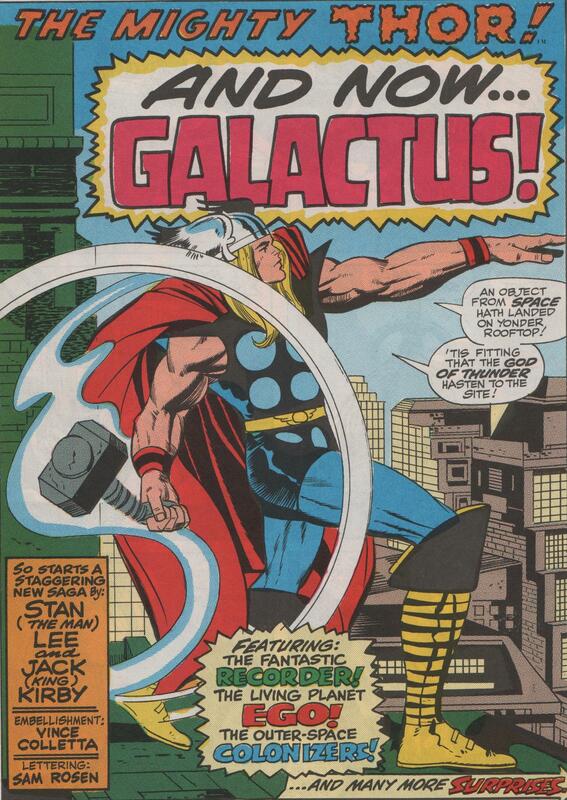 After the departure of Jack Kirby (in 1970), Marvel comics needed someone to step in and fill the gigantic shoes of that legend. 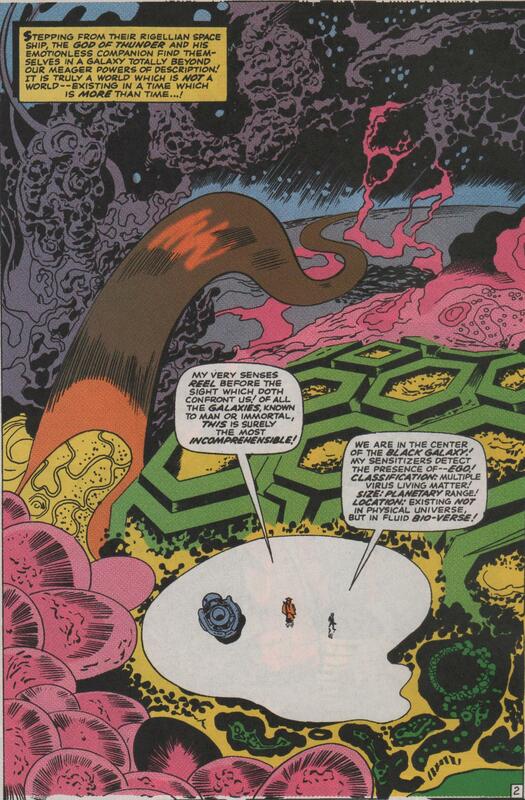 Not that anyone can do what Kirby did exactly, but to keep the titles rolling on pace, and with solid work. 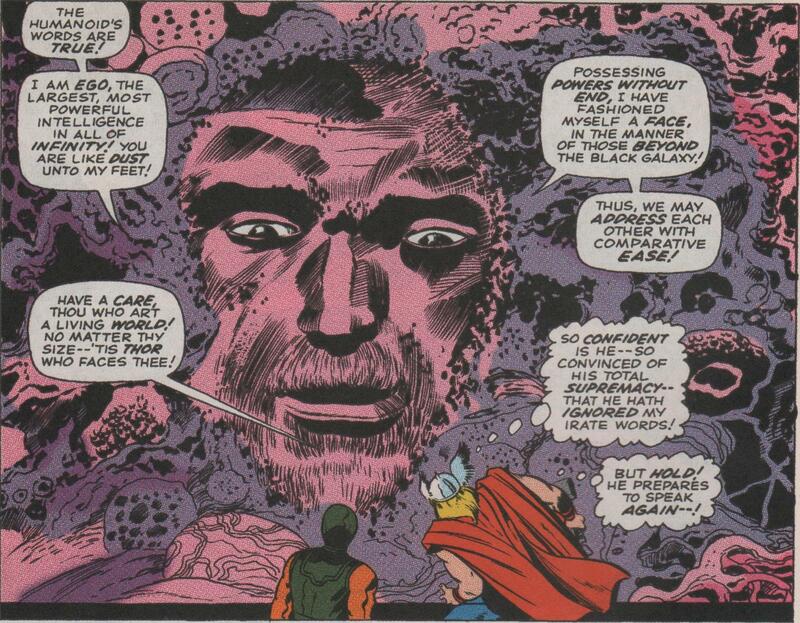 The Fantastic Four and Thor were books that Kirby made into gold with his style and powerful pencils, not to mention his imagination. 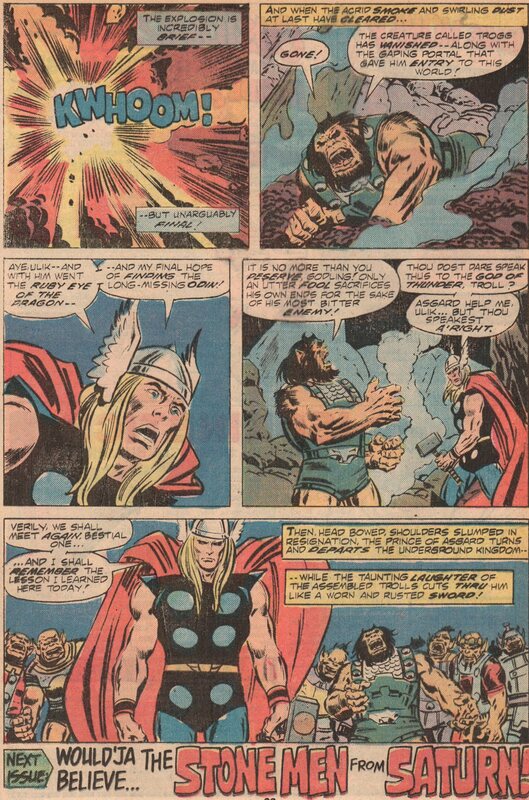 With the source material already in place, they turned to “Big” John Buscema to take over the artistic duties. 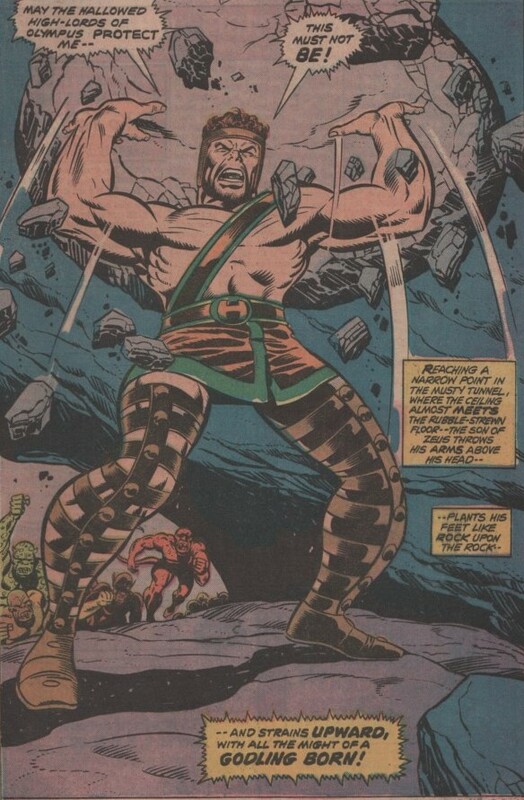 In this issue, we see the return of the mighty Mangog! 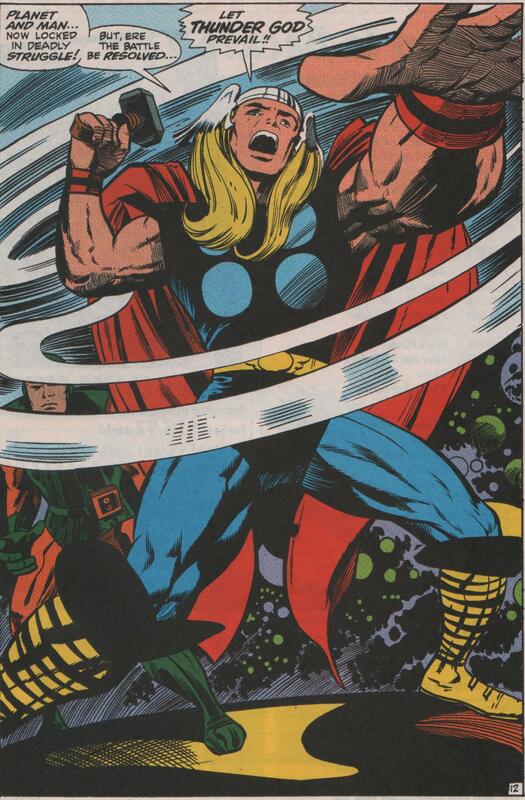 One of the few beings that has actually rivaled Thor in power, and strength (and making bold statements!). 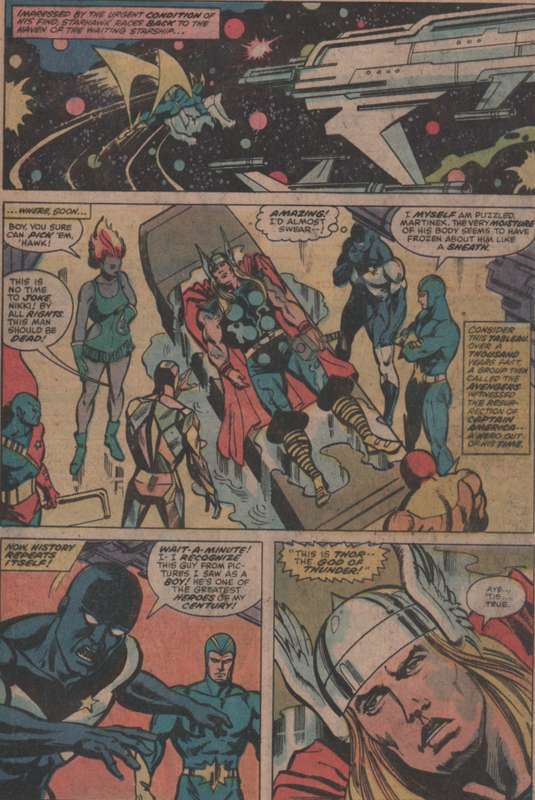 Throw in the Warriors Three, the Grand Vizier, and just about every other inhabitant of noble Asgard, and you’ve got a story to remember! 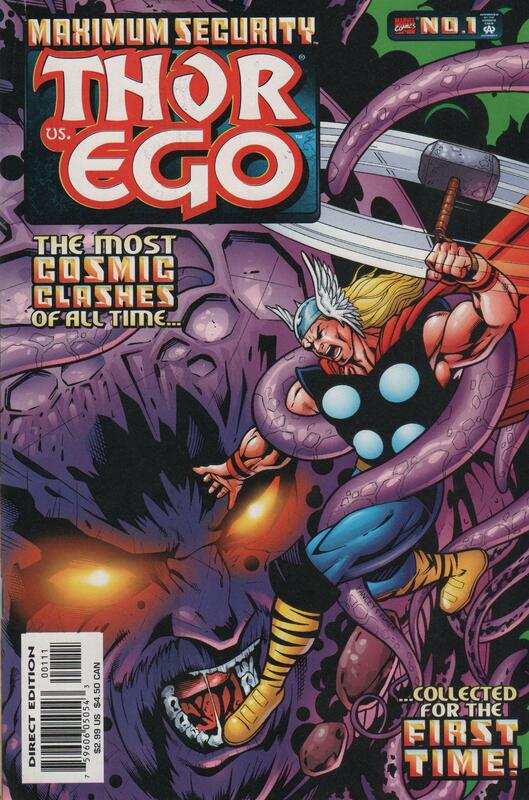 A slam-bang action issue that features all the characters you know and love from this corner of the Marvel Universe! 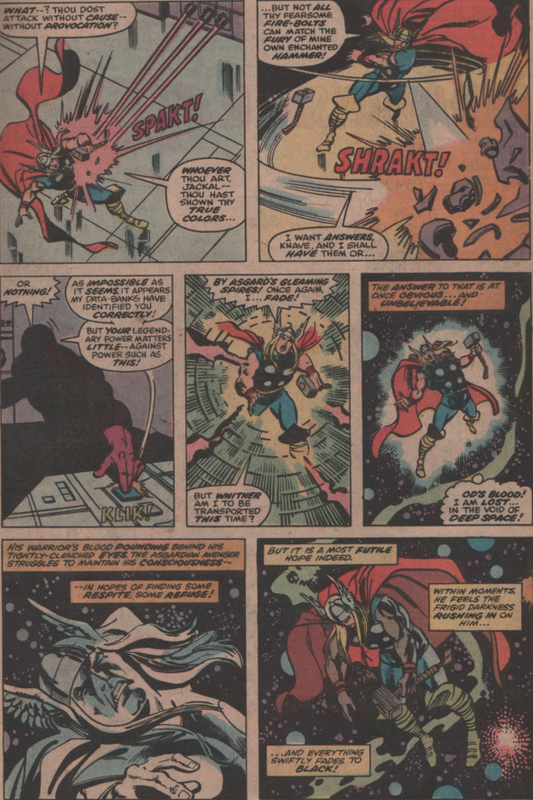 Written by Gerry Conway, pencils by “Big” John Buscema, inks by Vince Colletta, John Costanza on letters, and edited by Stan Lee! 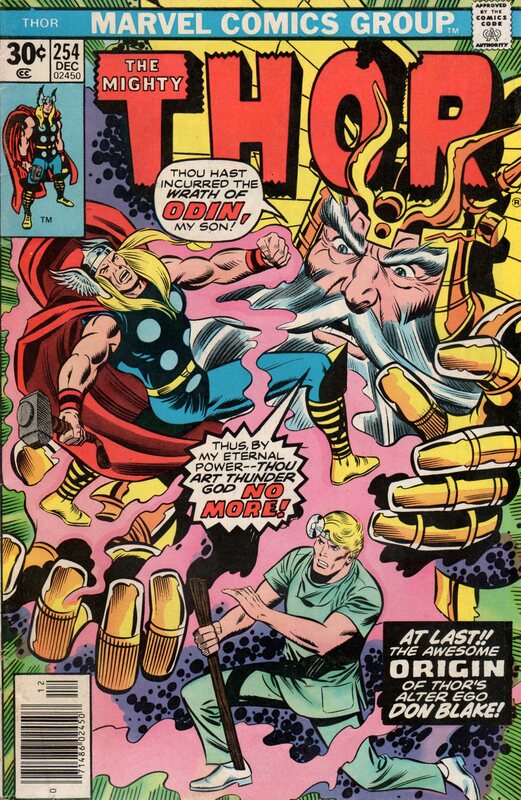 I decided to do a double-shot of Thor, and it’s no coincidence that both of these issues have work by none other than the king of comics, Jack Kirby! 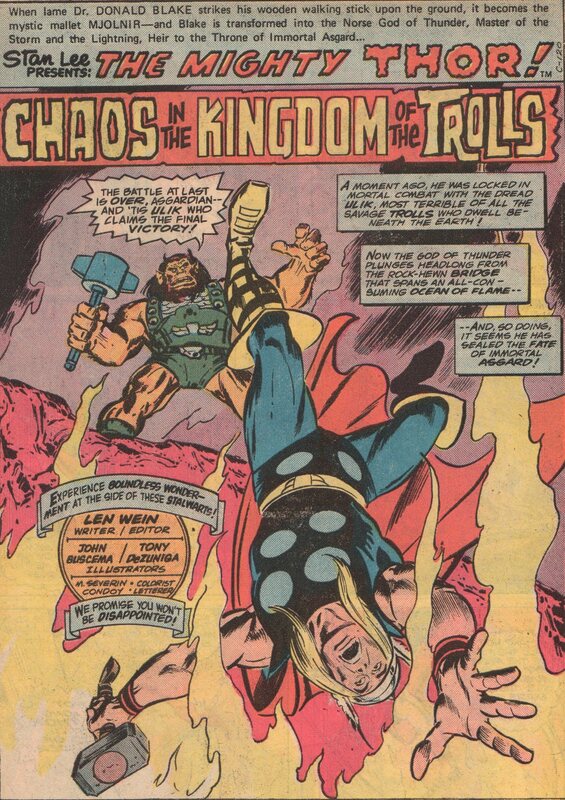 I love this era of Thor, and Len Wein and John Buscema (and Tony DeZuniga) have a lot to do with that fact. 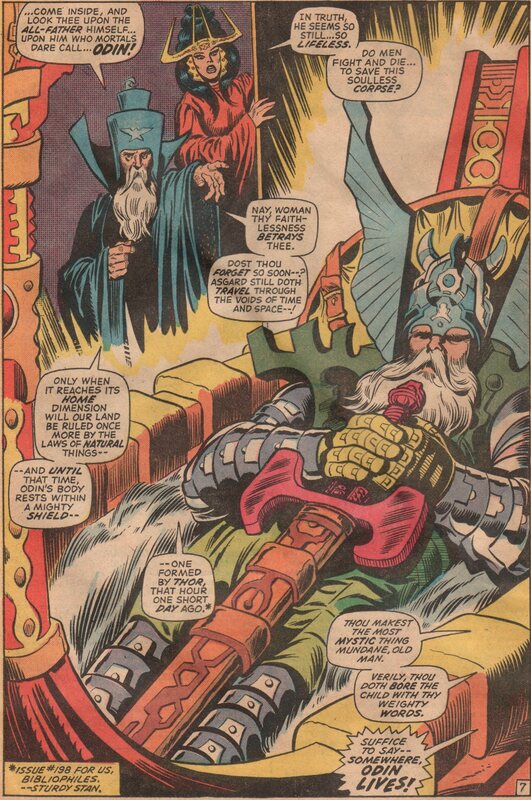 After posting some pic from the series “The Eternals” by Kirby, I felt compelled to spotlight some of his other work from the mid-1970’s (during his final stint at Marvel). 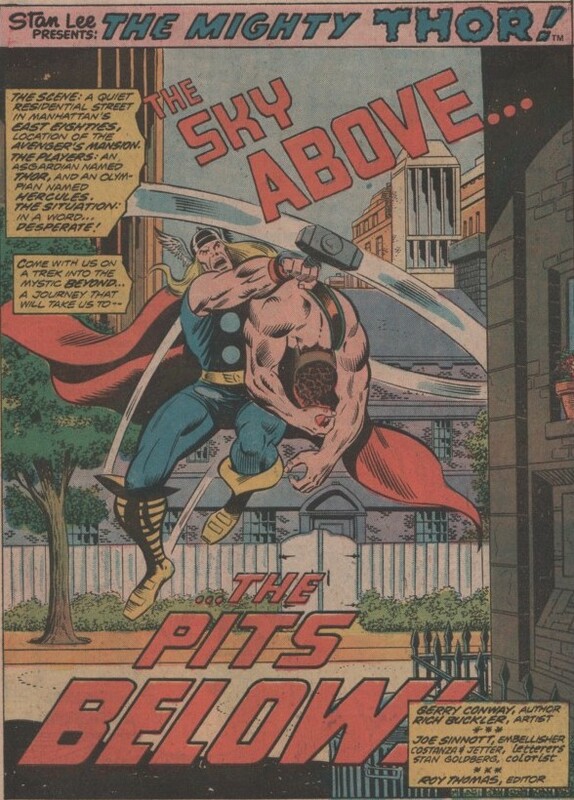 Issue #254 is a straight reprint of Thor #159, (1968), and shows just how and why Thor became intertwined with Dr. Don Blake. 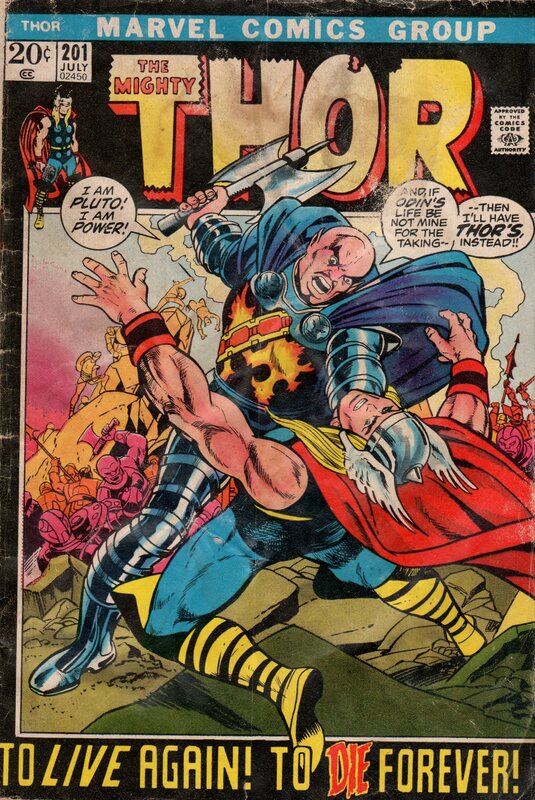 The second issue (#257), is the last part of a story that showed Thor and the Warriors Three in conflict with the Atlas Age monster, Sporr! 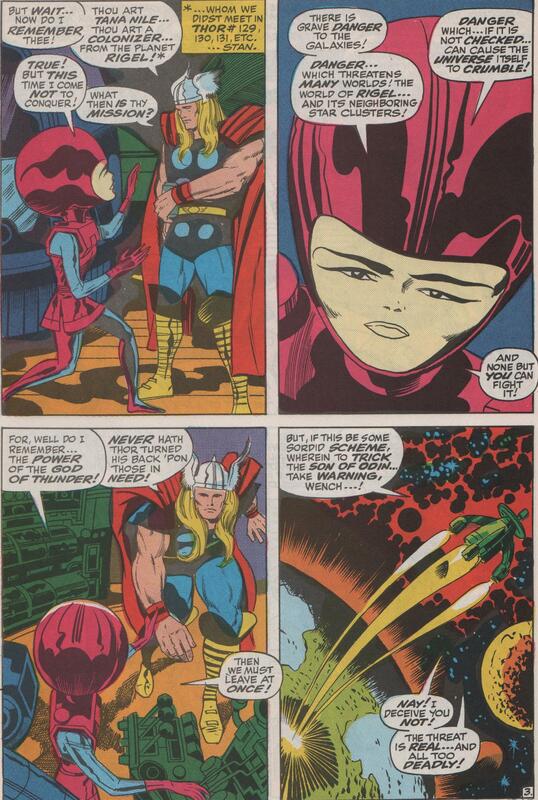 And not just for kicks, the very life of Lady Sif may be at stake! 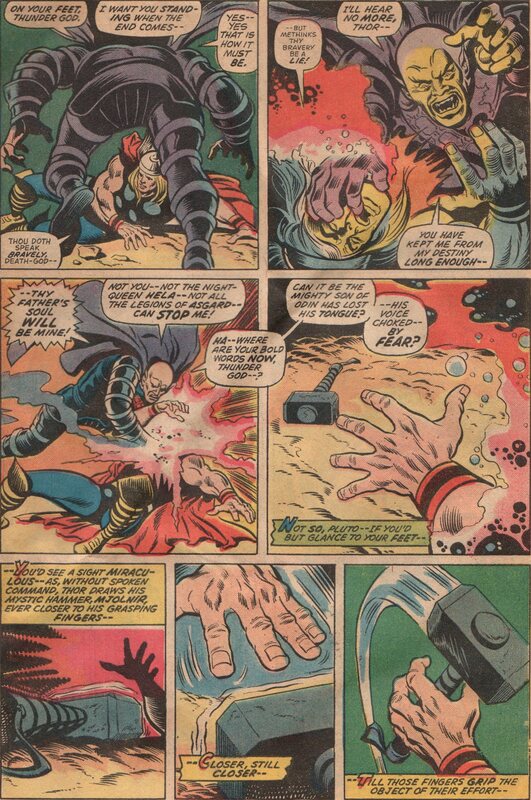 Great morality play in this issue, plus the action you get from this era! 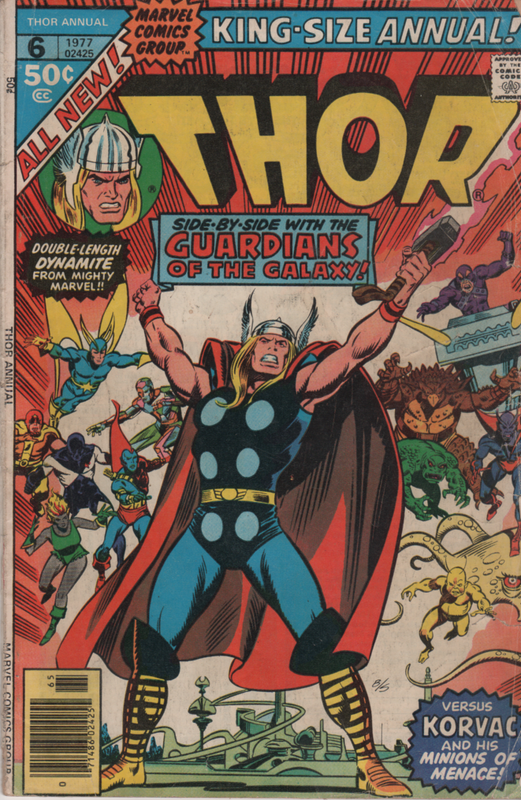 The first issue of this double-shot gives us a great cover by “Riotus” Rich Buckler (pencils) and “Joltin” Joe Sinnott (inks)! 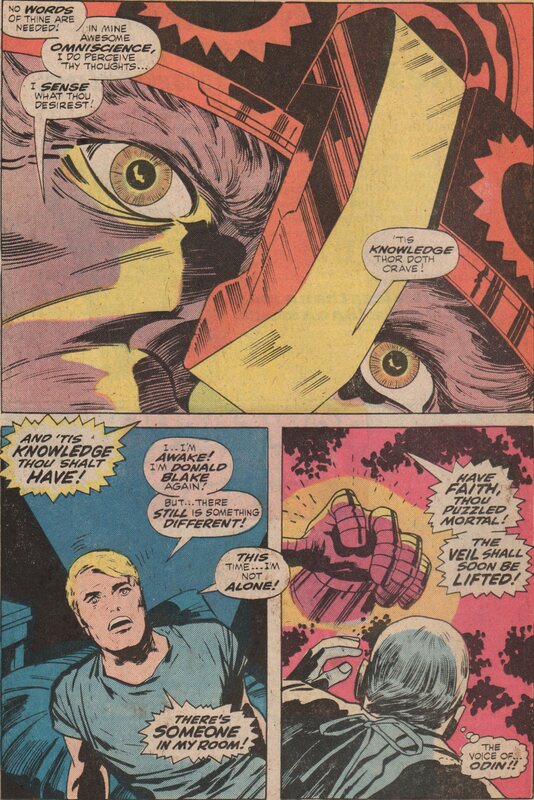 The interiors of course, are by Jack “King” Kirby (pencils) and “Valiant” Vince Colletta (inks), with letters by “Swinging” Sammy Rosen and script by Stan “The Man” Lee. 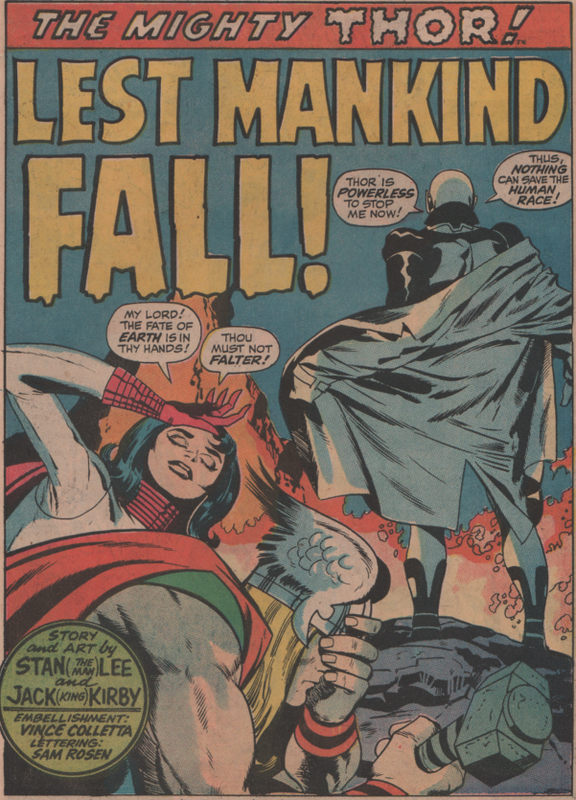 The second issue brings us an incredible cover by Kirby and Sinnott. 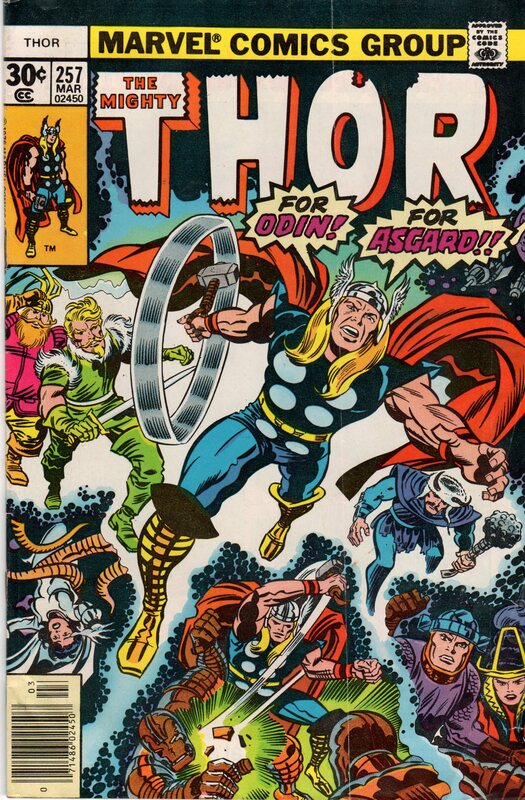 This team has given us such wondrous work over the years, and this cover is one of them! 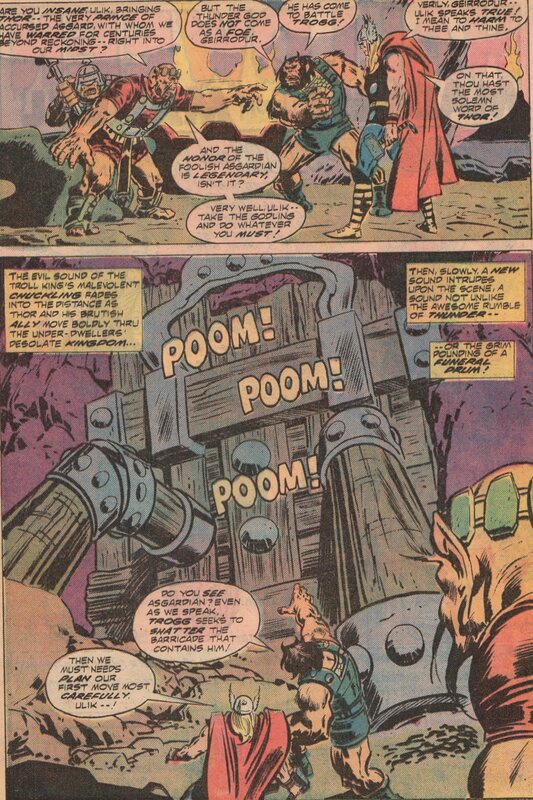 The interiors are also very good, and we have “Big” John Buscema (pencils) and Tony DeZuniga (inks), to thank for that. 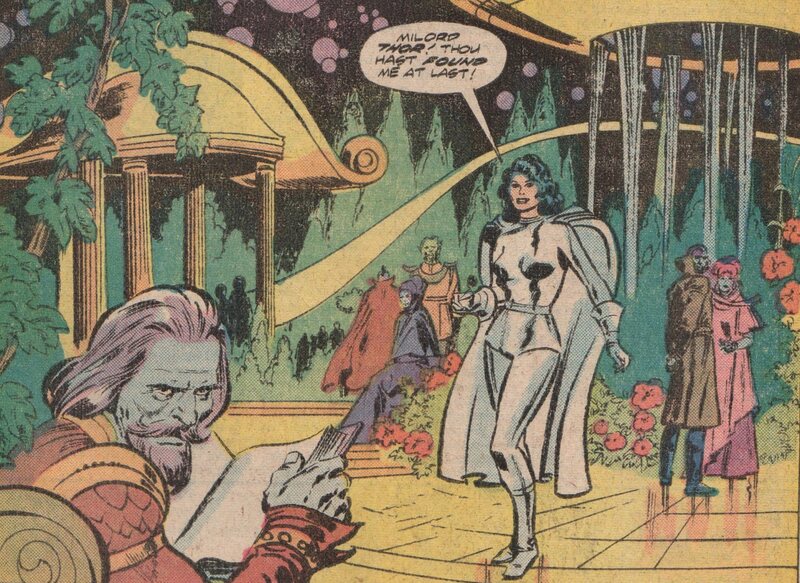 Add in perennial colorist, Glynis Wein, to round out the art team. 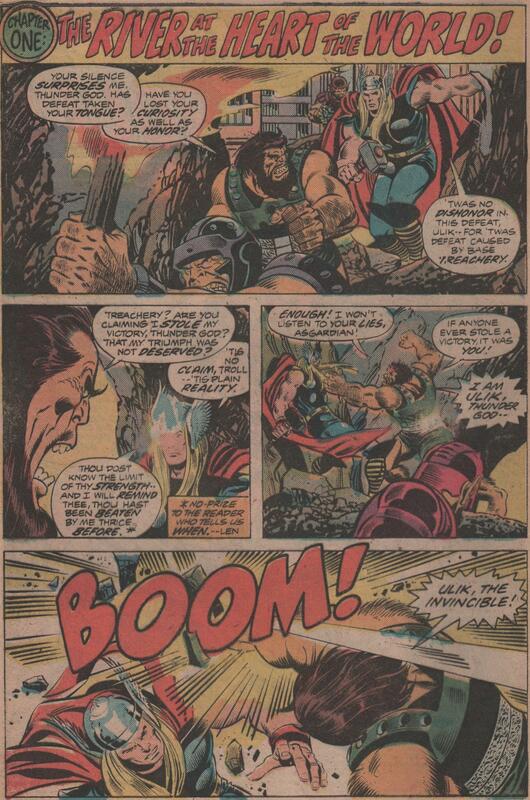 The writer of this awesome story, is none other than Len Wein! 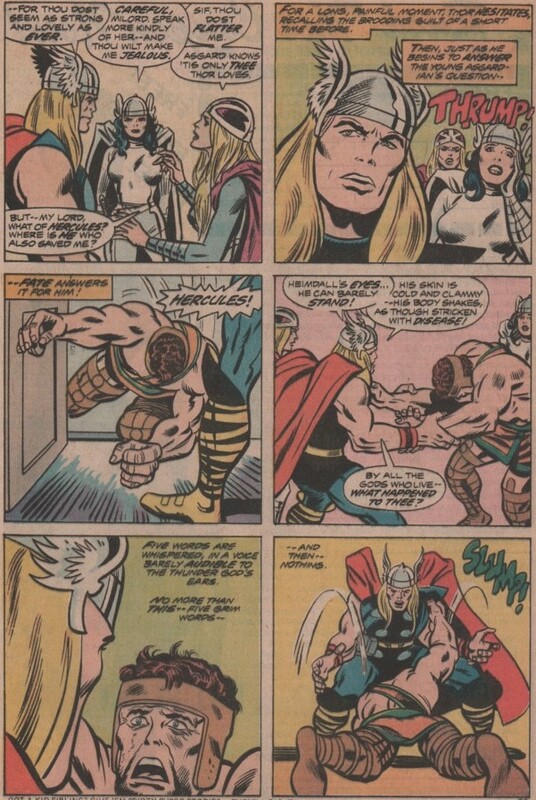 He’s had some great runs in comics, but for me, this one is the best! 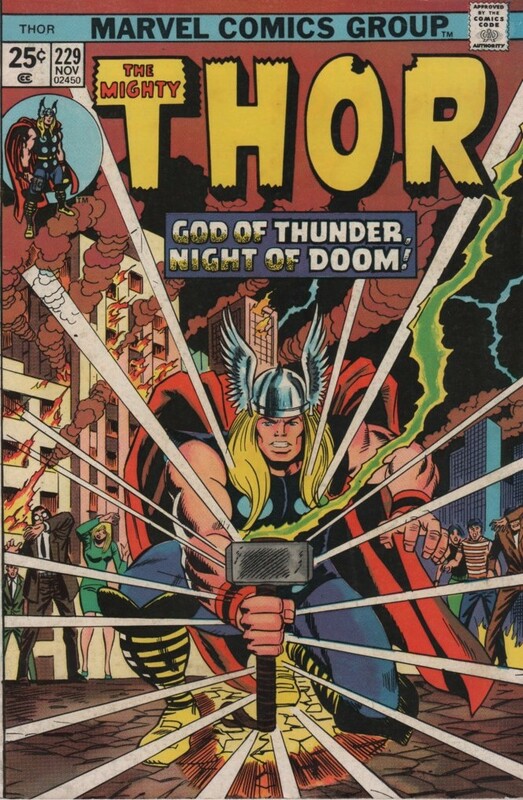 As everyone knows, one of the best comic books is the mighty Thor! 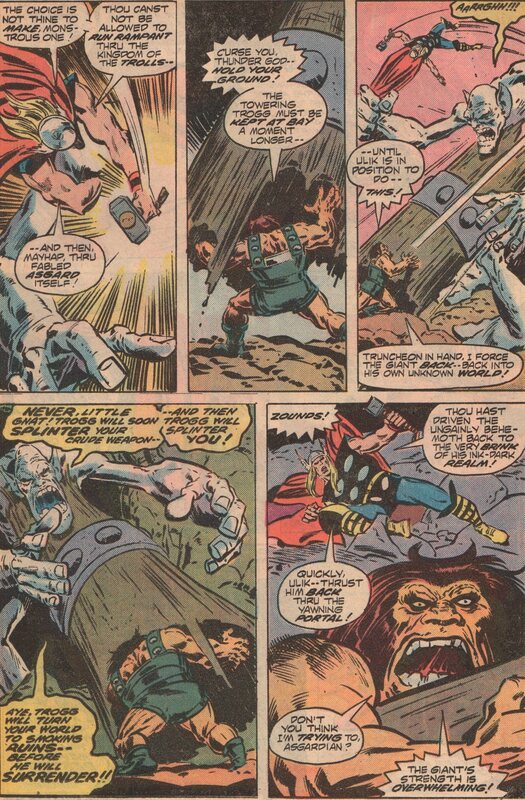 In this issue, we see that Thor has battled Ulik the Troll, and lost! 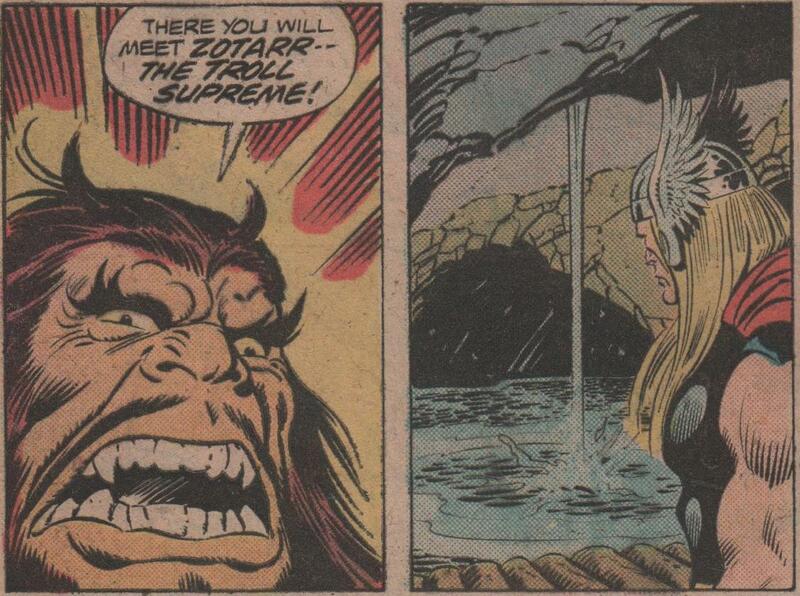 Well, not really, but Ulik was smart enough to capture Jane Foster, so Thor surrenders. 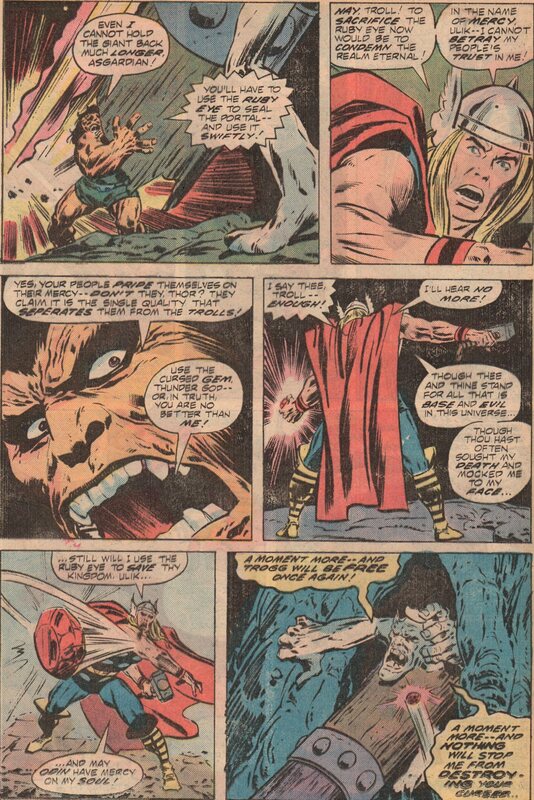 Ulik has had some trouble down in the nether regions…of subterranean Earth, and he strong-arms Thor into fighting for his cause. 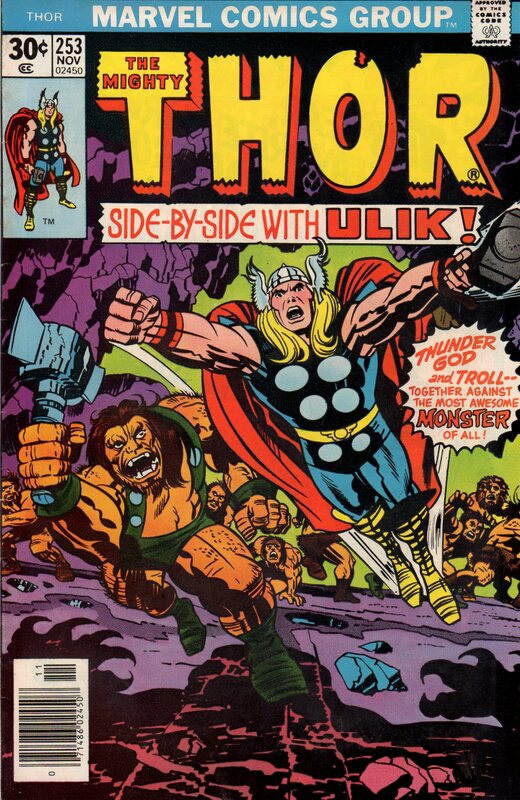 Typically, Ulik is just a villain that antagonizes Thor, and then they fight, so this story was a different angle for him. 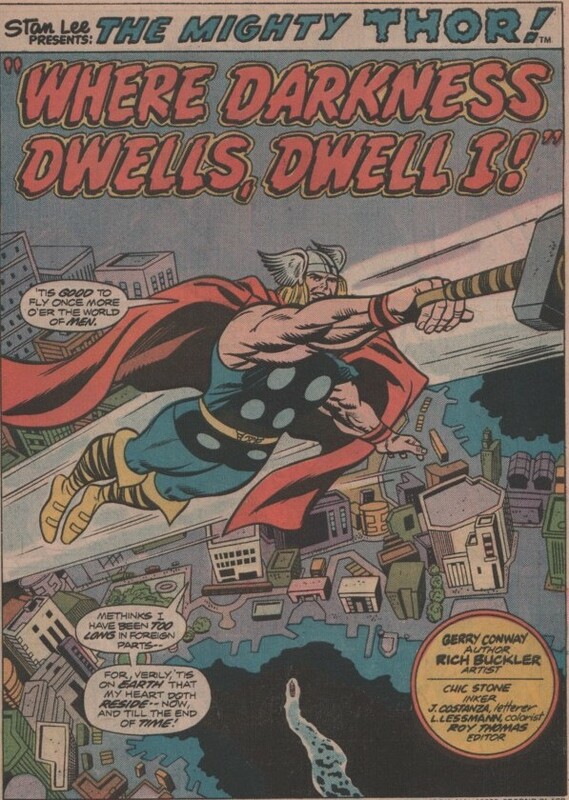 Under the keen eyes of editor, Len Wein, Gerry Conway, who would later be followed by Wein as writer, crafted a nice little run on the title. 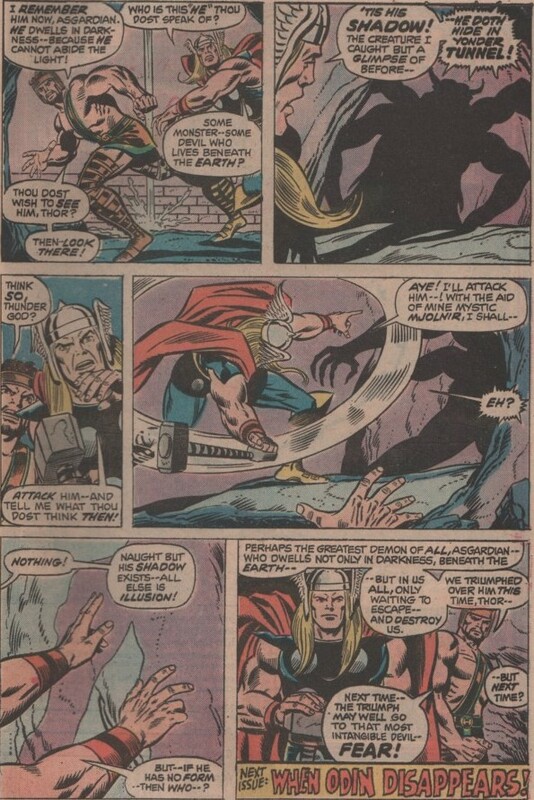 From issue #193- 238, Conway showed the readers that he wasn’t a one-trick-pony with his success on the Amazing Spider-Man, but could forge some new ground with Thor. 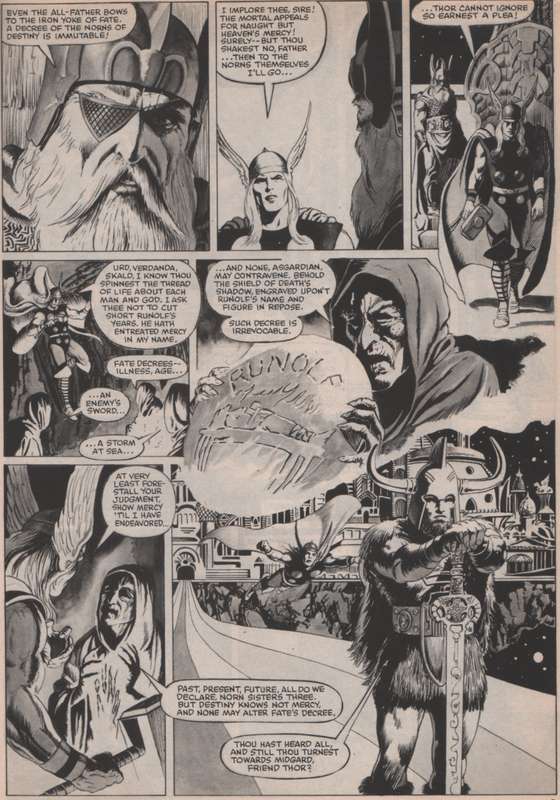 Not to be outdone, is the man, myth, and legend, ‘Big’ John Buscema. 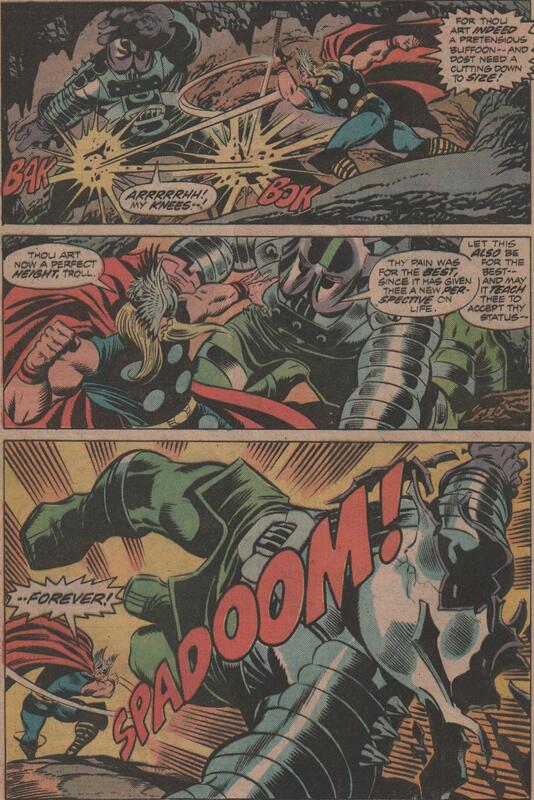 You can just look at his work in any comic, and it screams talent, and professionalism. The man never to a minute off in his work. 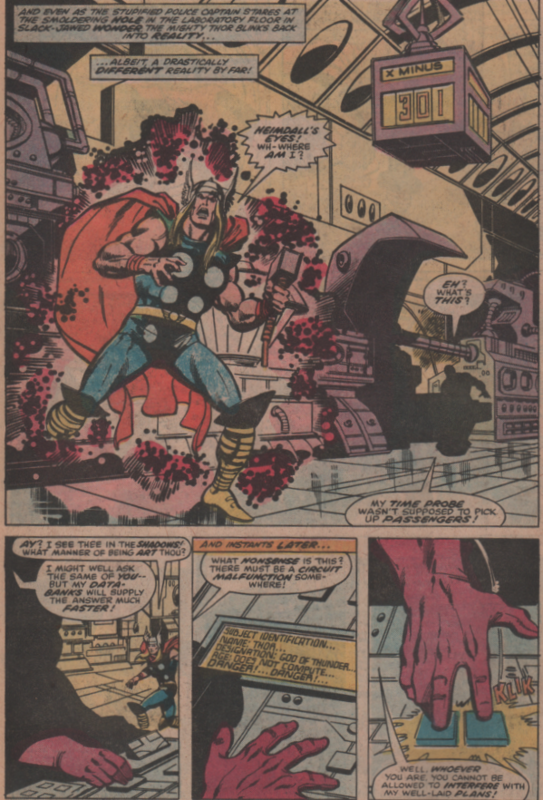 Inked by the incomparable, Joe Sinnott, colors by Don Warfield, and letters by John Costanza, this swan song of Conway’s is a must have for fans of Thor or the Bronze Age! 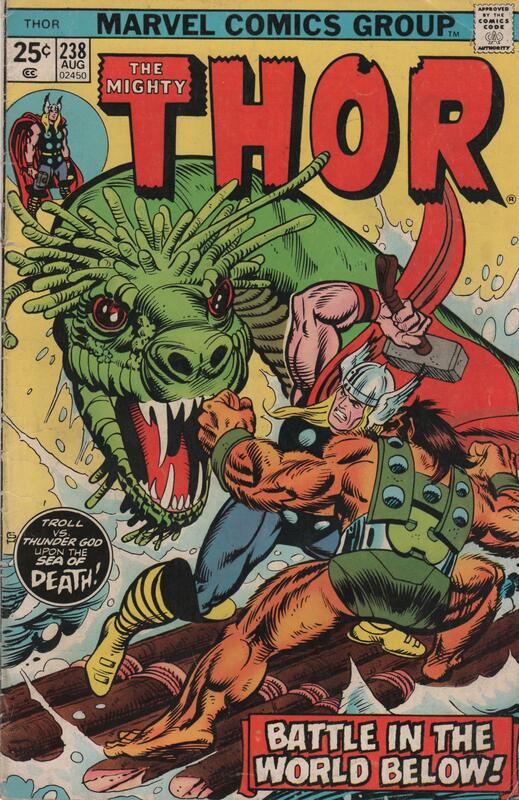 Cover by the great Gil Kane, with inks by the ever dependable Al Milgrom! I typically don’t write about books this new, but being that this is a reprint of incredible material, I figured it was OK. 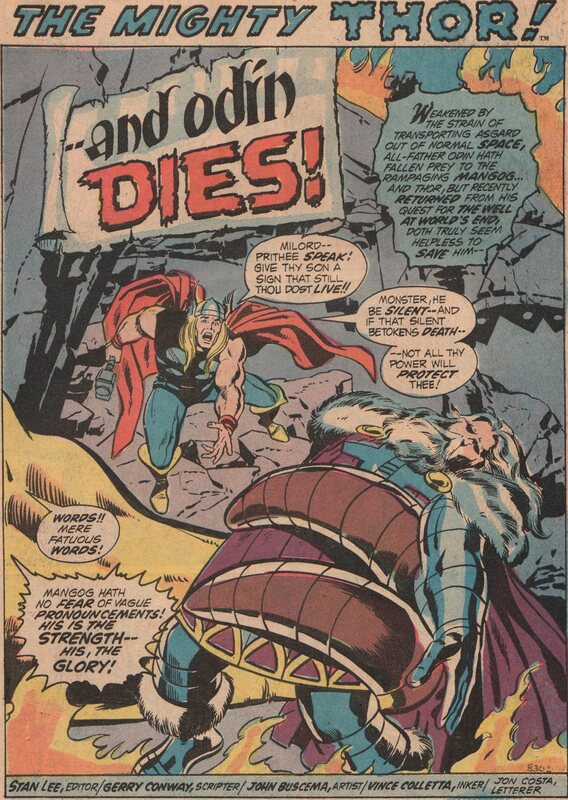 When you can showcase something as special as a Silver Age Thor story, you gotta do it. 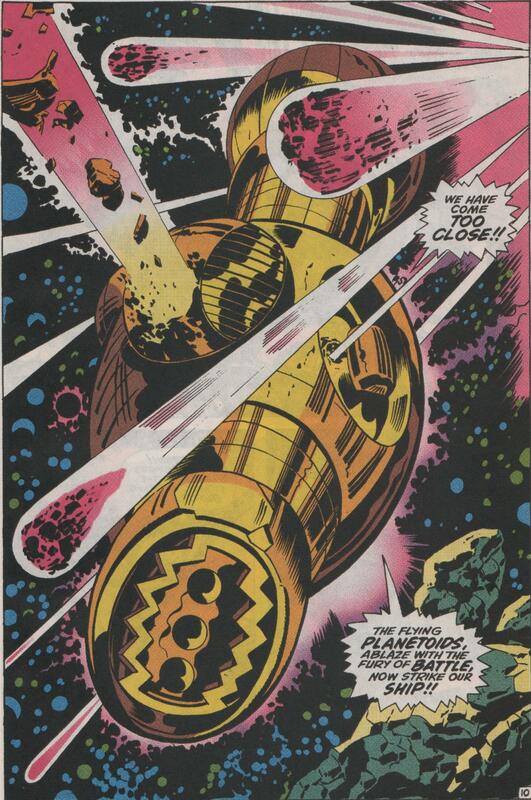 Marvel cosmic is a thing of beauty or it was at one time. 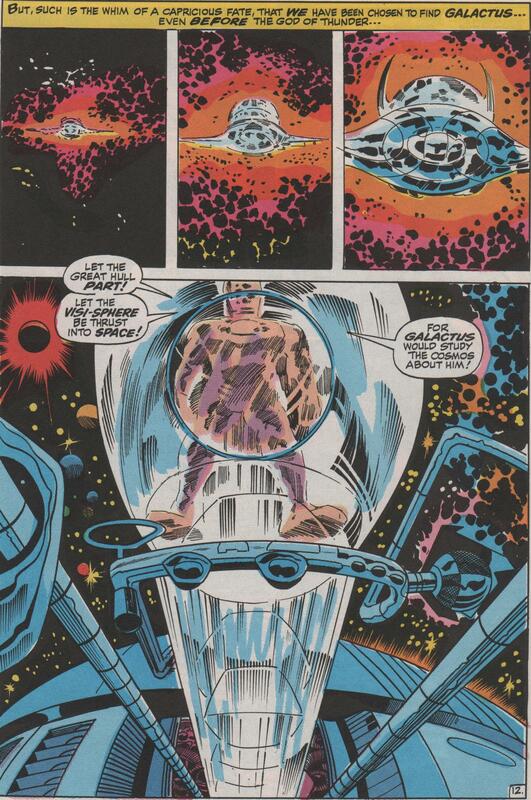 Readers of the Silver Age know, that The Fantastic Four and Thor are the two books that started it all, and vaulted it into the farthest reaches of the universe and beyond! 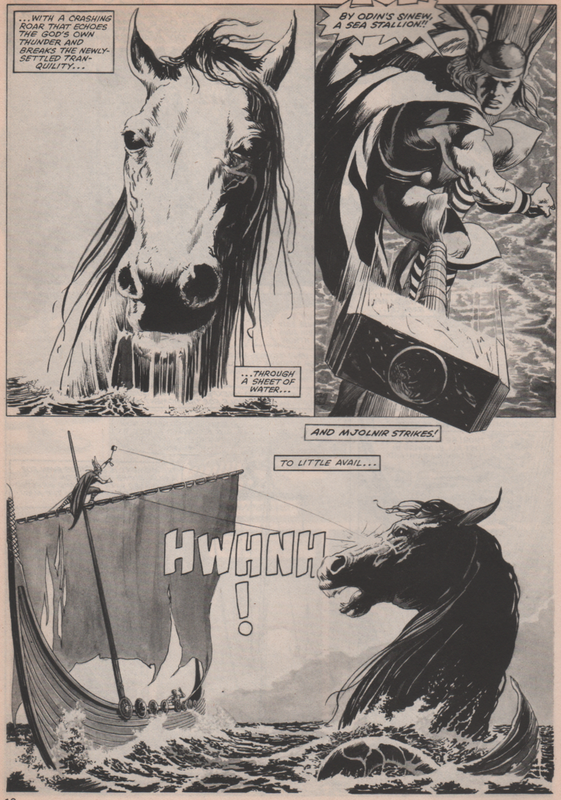 Originals, reprints, whatever, get some copies of early issues of these two titles, and dive in. 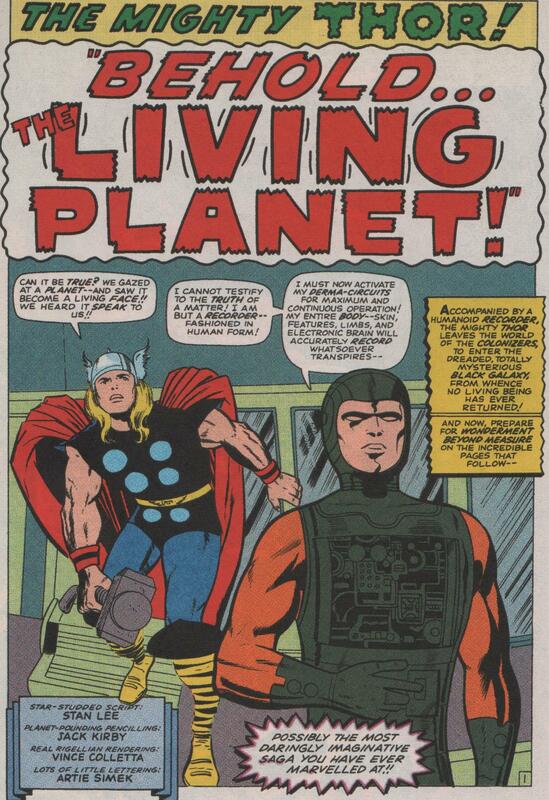 This particular over-sized book has three issues of Thor (#133, 160-161), that show his first and next encounters with the Living Planet called Ego! 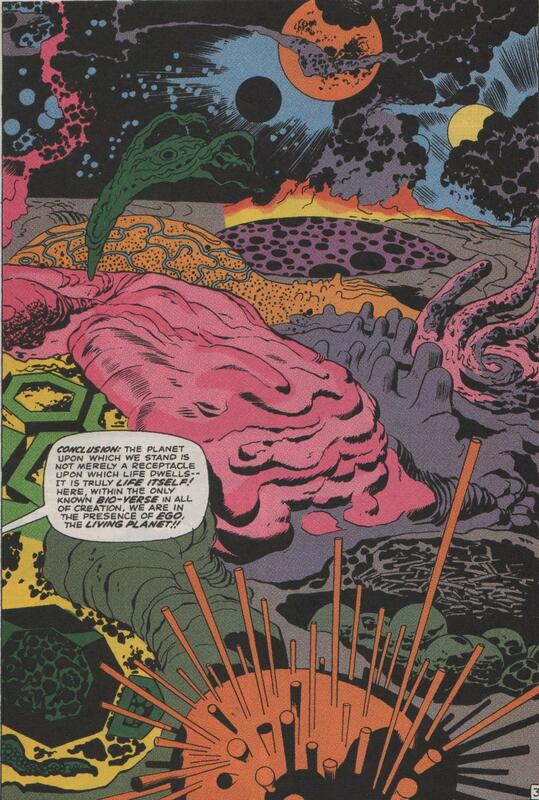 Of course, the only mind that could bring us this visual feast is that of Jack ‘King’ Kirby. 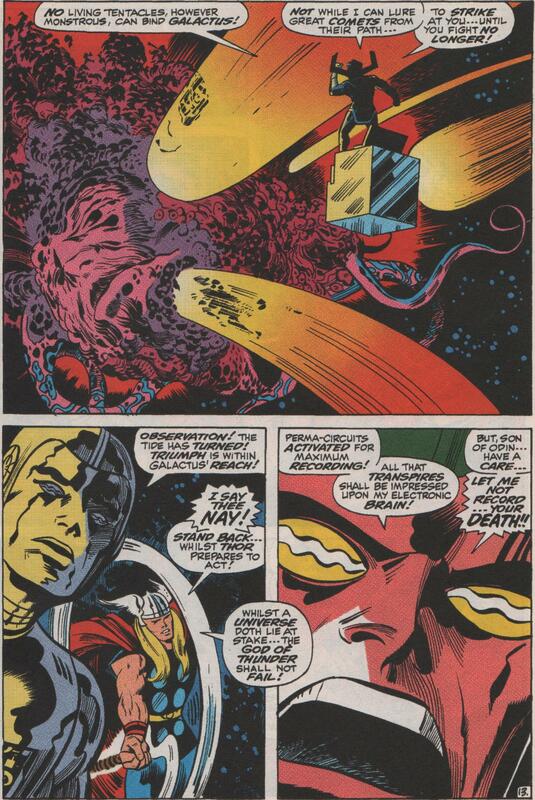 As if Ego wasn’t enough, Kirby then brings the mighty Galactus into the fray, and you’d better fasten your seat-belts for that collision! 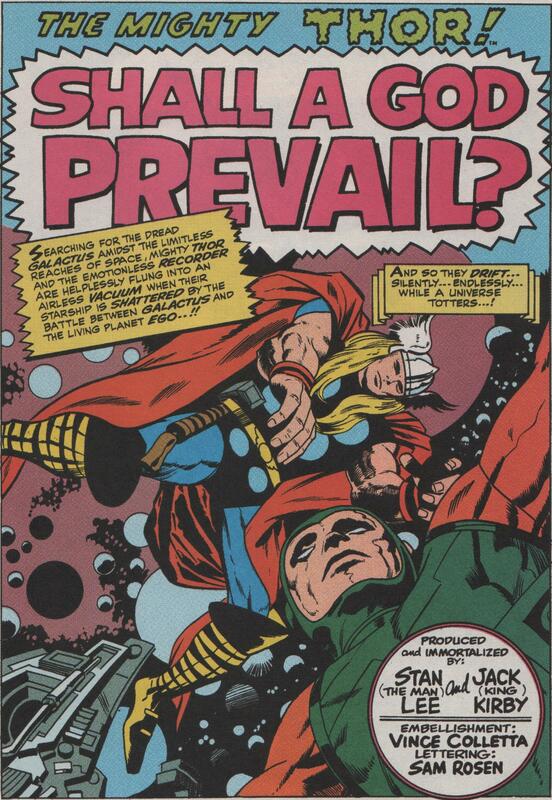 Scripted by Stan Lee, pencils by Jack Kirby, inks by Vince Colletta, letters by Artie Simek and Sam Rosen! 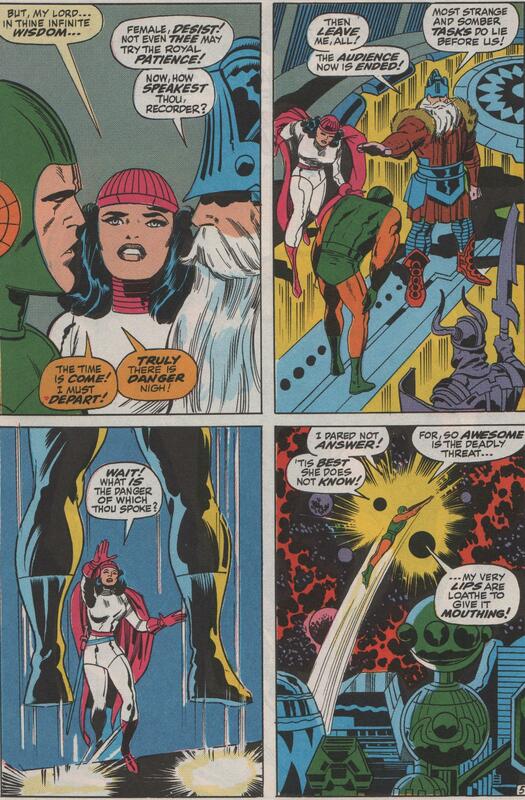 A better story from the Silver Age of Marvel cannot be found!